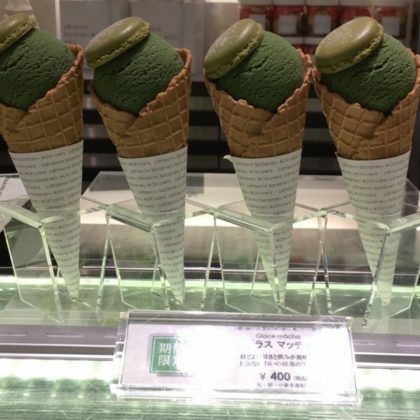 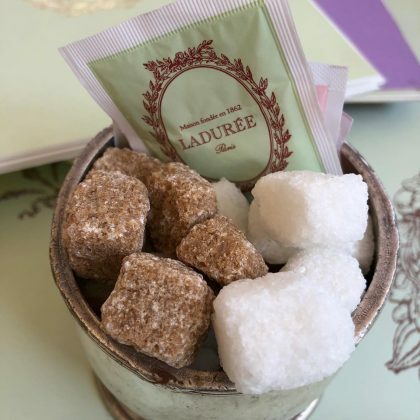 Melissa Joan Hart checked into Paris, France’s Ladurée Paris Champs Elysées for something sweet in August 2018. 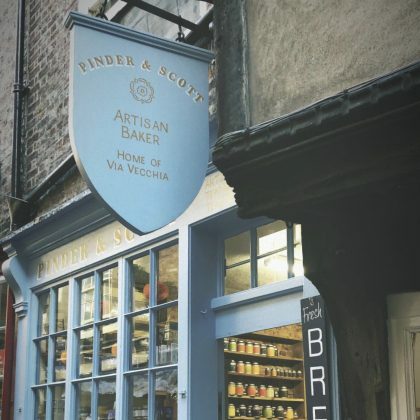 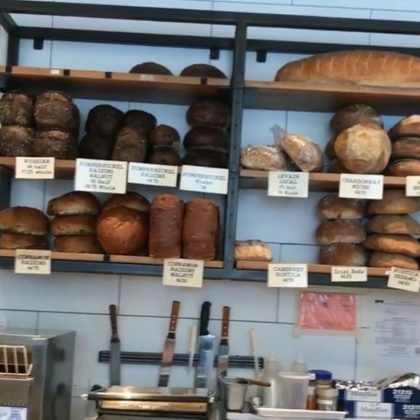 Pharrell Williams checked out the baked goods at London, England, UK’s Rose Bakery in June 2018. 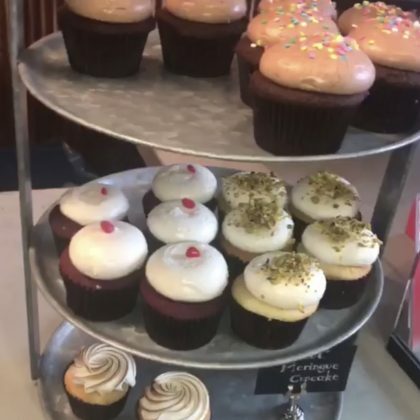 Bethenny Frankel checked out the cupcake selection at New York City, NY, USA’s Baked, Tribeca in April 2018. 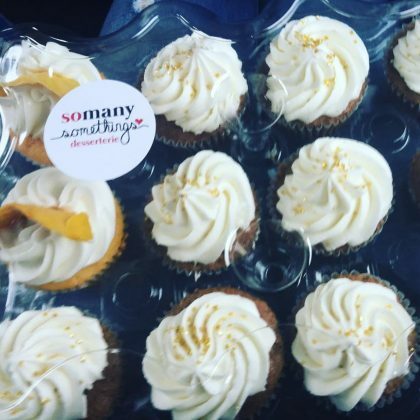 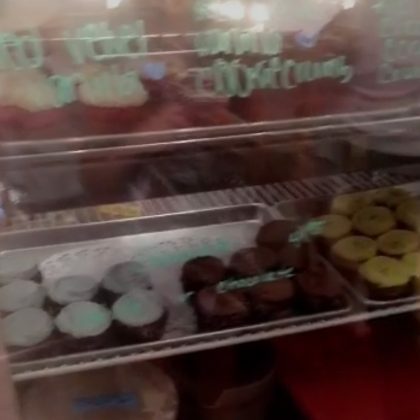 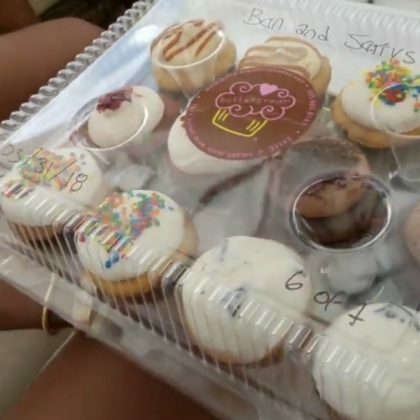 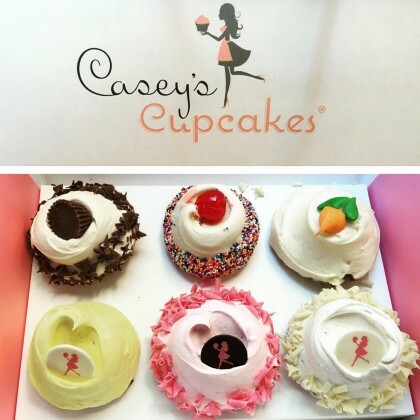 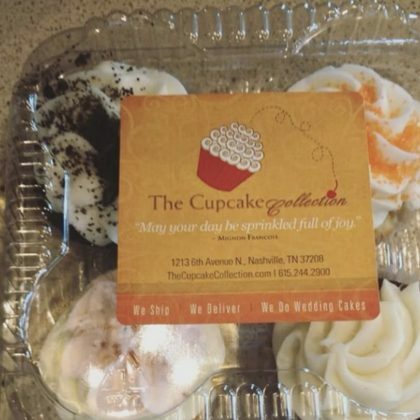 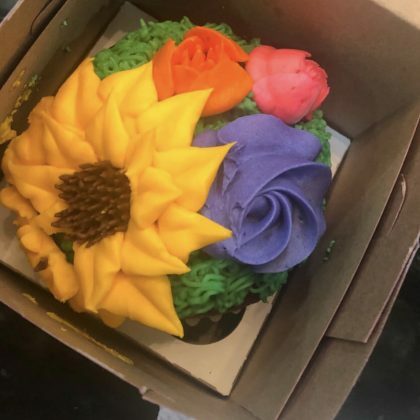 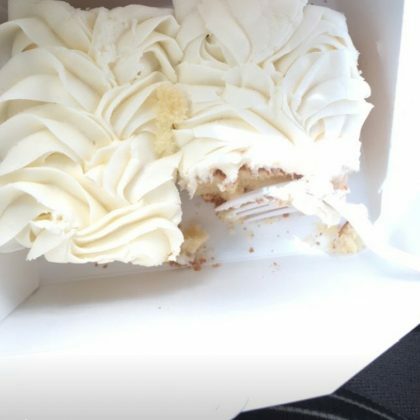 Kelsea Ballerini had a box of treats from Nashville, TN, USA’s The Cupcake Collection in April 2018. 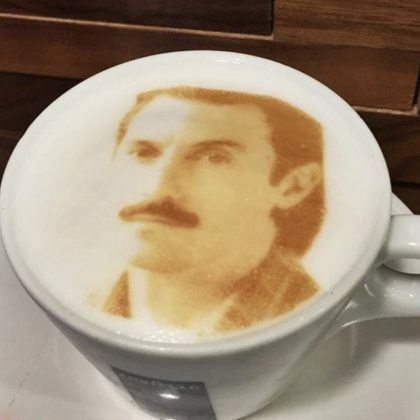 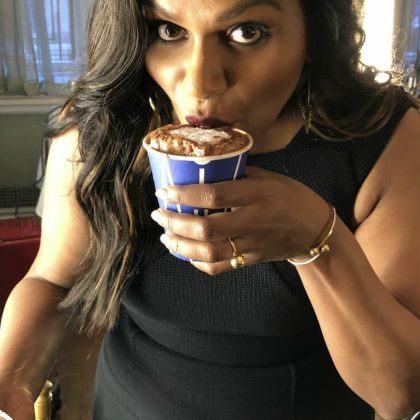 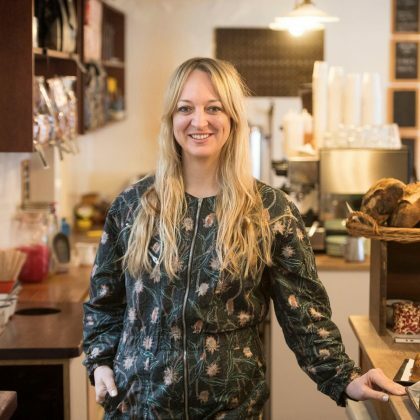 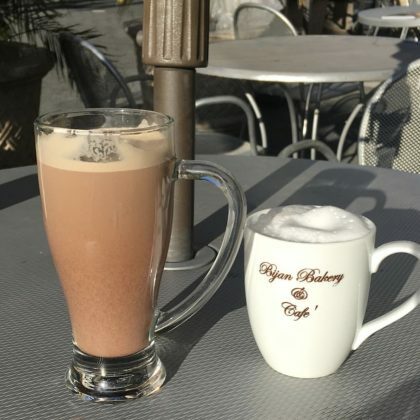 “Photo shoots are so much better with a hot cocoa from @citybakerydaily” is what Mindy Kaling said about the “YOM” hot beverage she sipped on in March 2018. 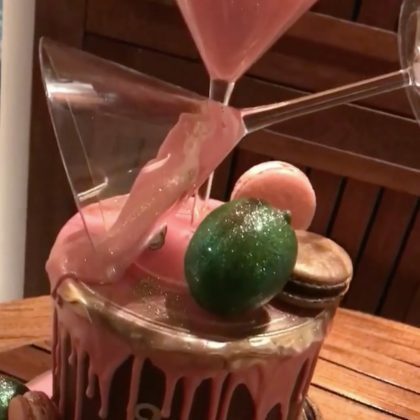 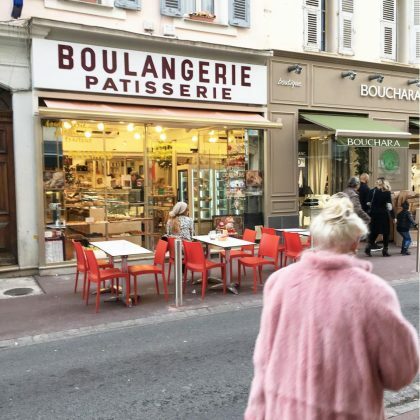 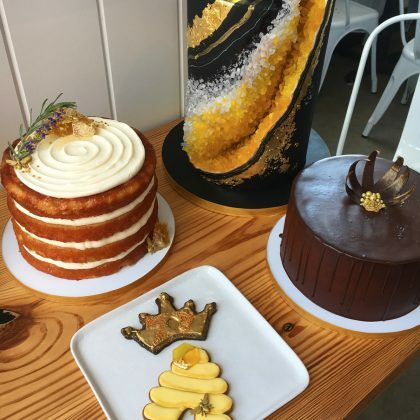 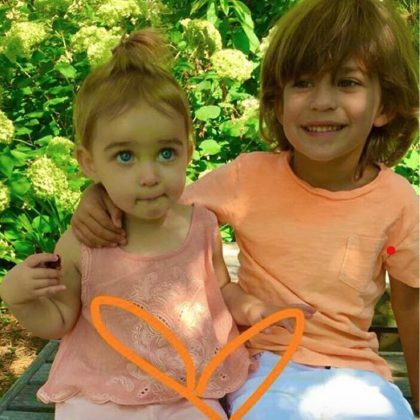 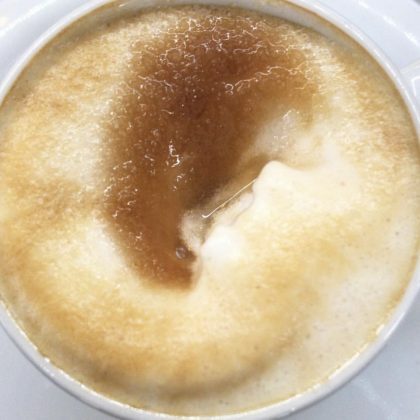 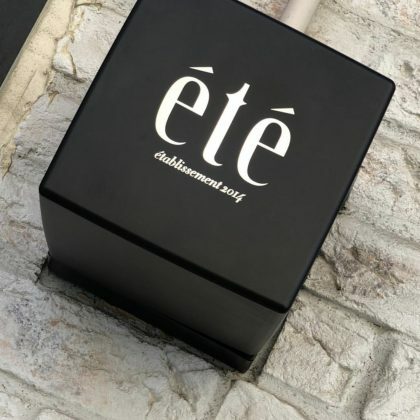 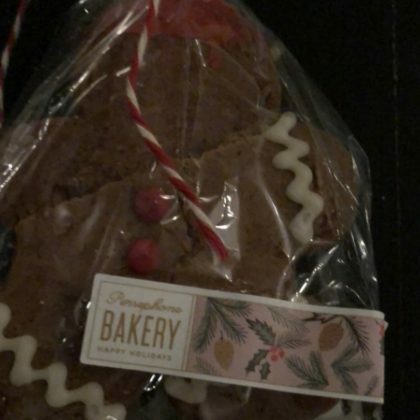 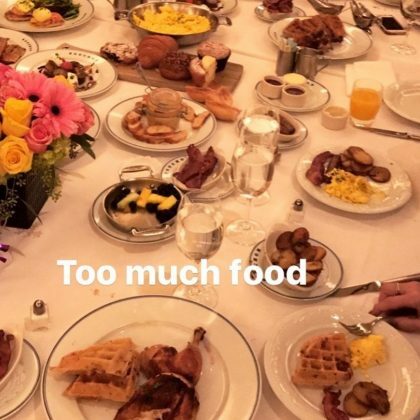 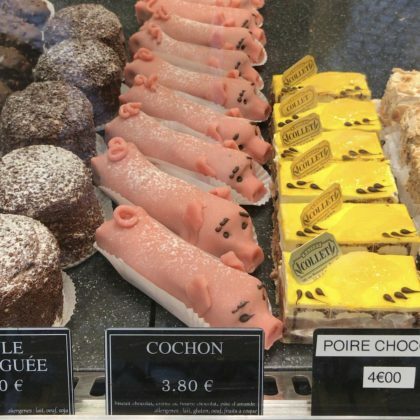 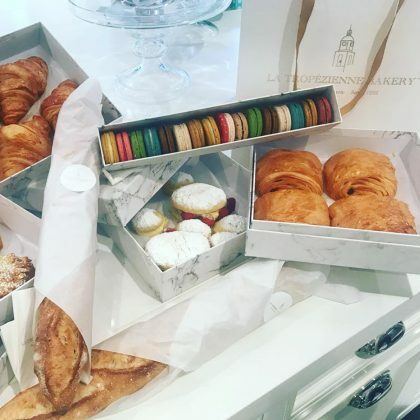 Jonathan Cheban picked up something sweet from Le Mervetty in January 2018. 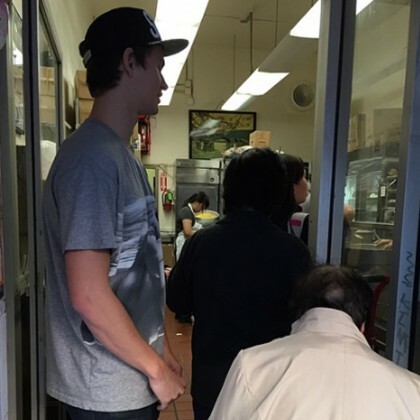 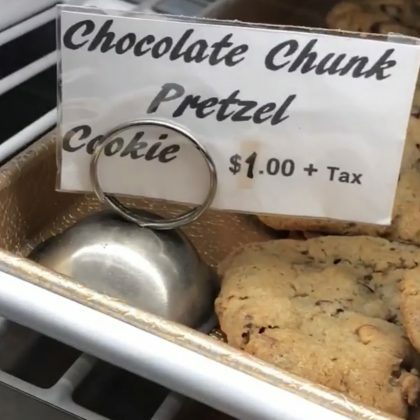 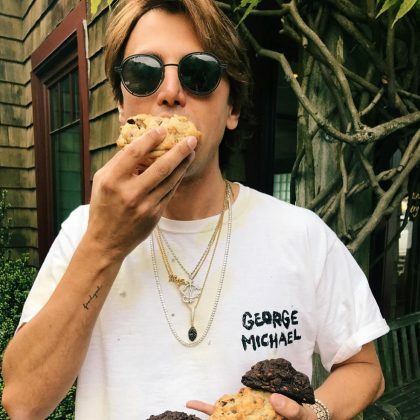 Jonathan Cheban checked out a tray of chocolate chunk pretzel cookies ($1/each) at Le Chic French Bakery in November 2017. 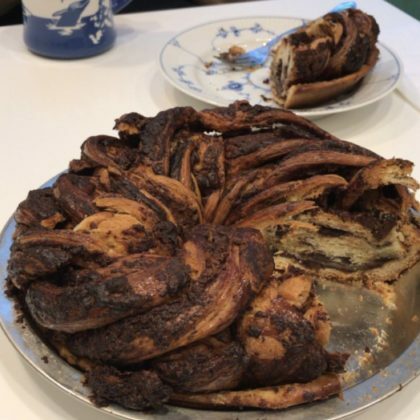 In November 2017, Jessica Seinfeld enjoyed a “Babka pie courtesy of” one of the Breads Bakery locations in New York City, NY. 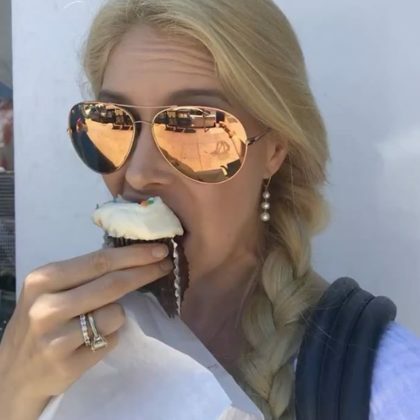 Molly Sims stopped by the cupcake ATM at Sprinkles Cupcakes, Nashville in November 2017. 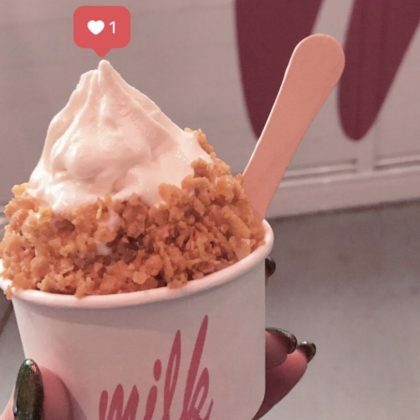 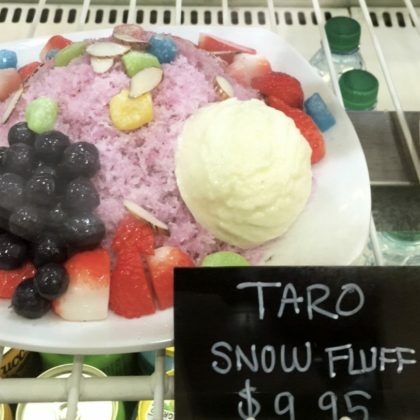 Ryan Phillippe checked out the taro snow fluff dessert and showed off his frequent customer card at Bubble Boba in October 2017. 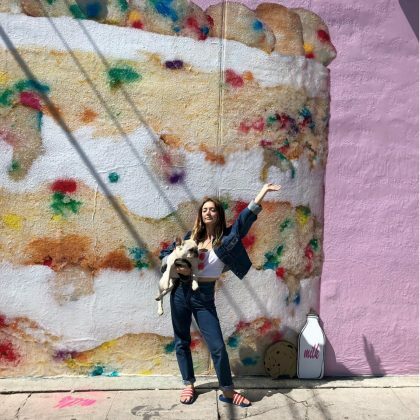 Camilla Belle took “A little ice cream stroll” after picking up a cup of something sweet from Milk Bar East Village in October 2017. 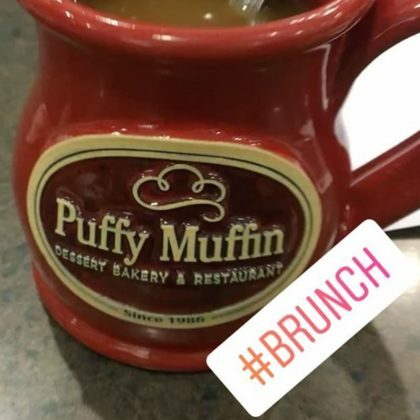 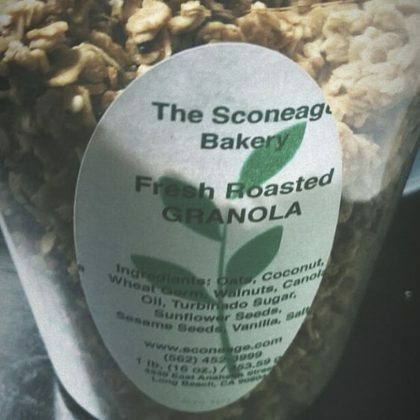 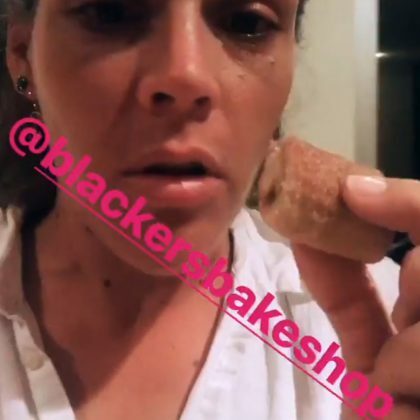 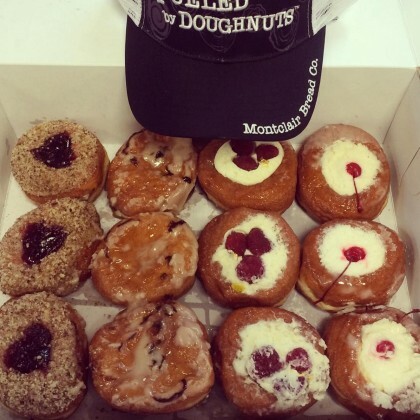 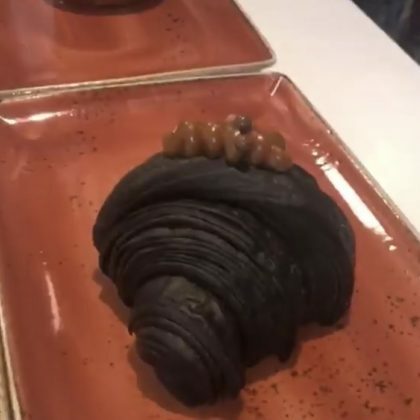 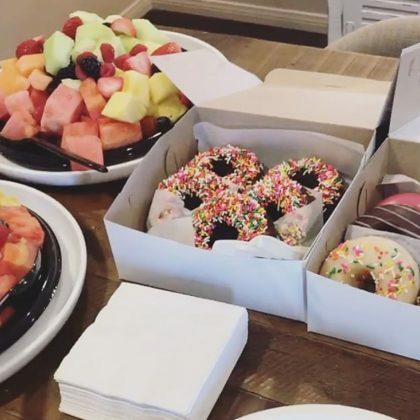 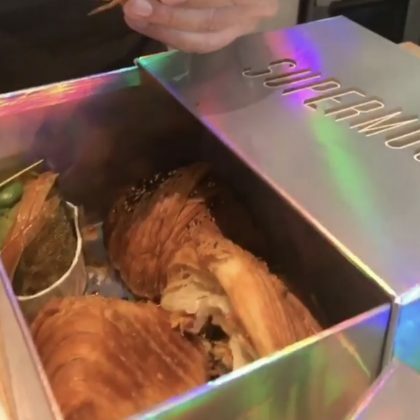 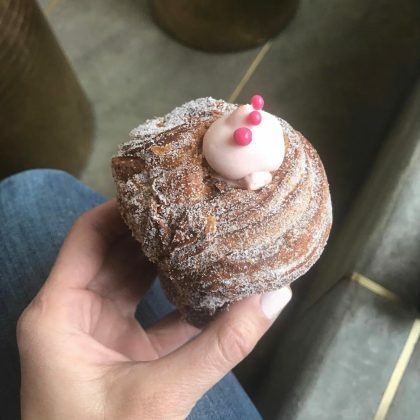 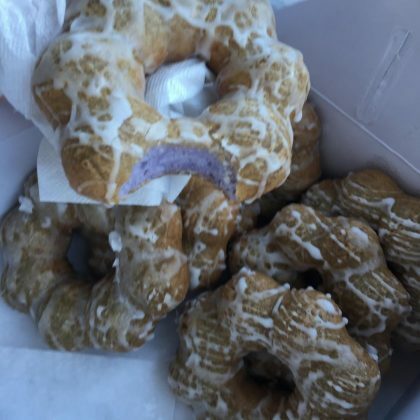 Jessica Seinfeld was “Freaking out” over the “Lychee Berry croissant” and “doughnuts” she got from Supermoon Bakehouse in October 2017. 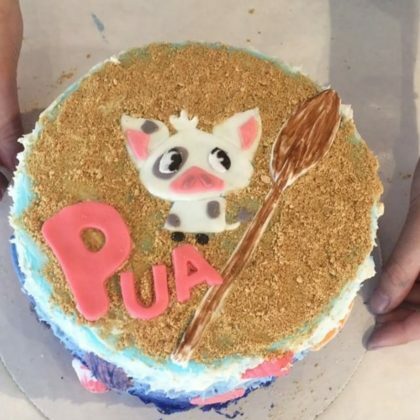 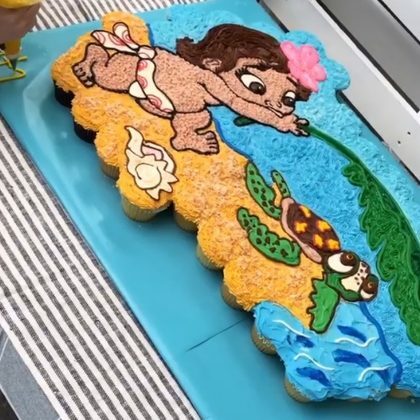 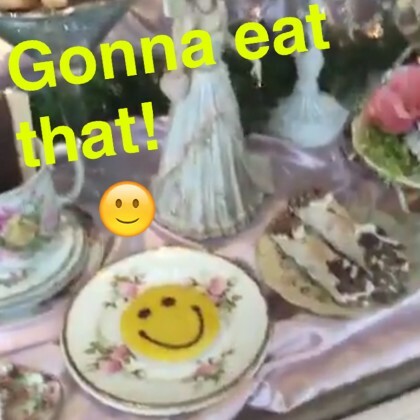 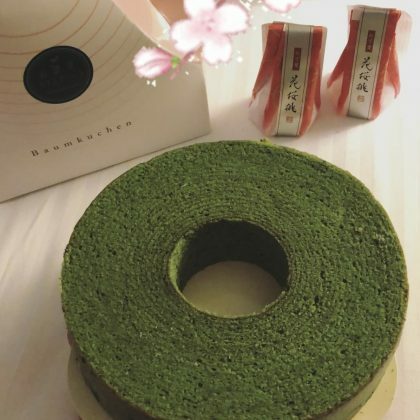 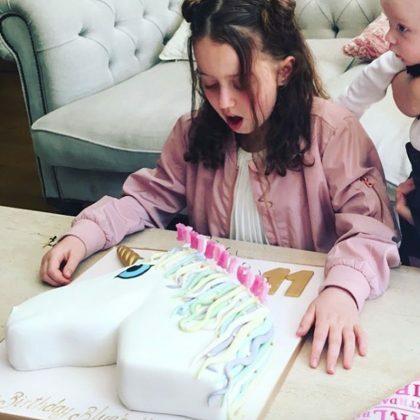 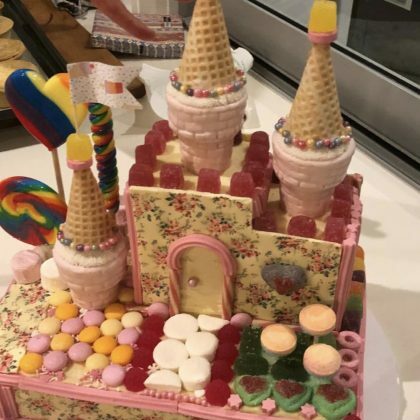 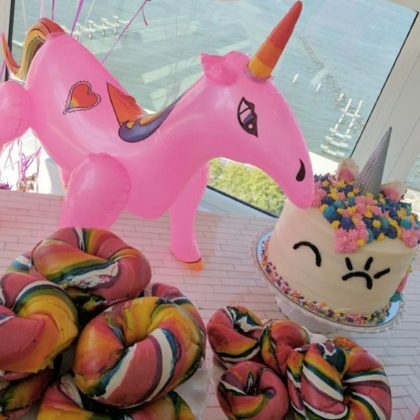 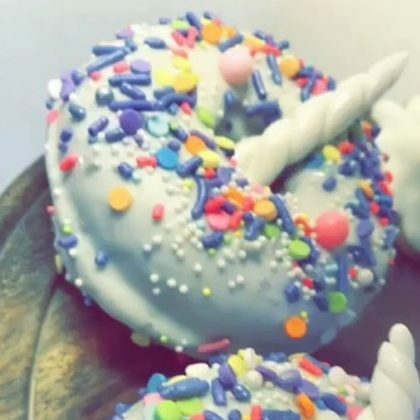 Part of Nicky Hilton’s “Unicorn breakfast” in October 2017 included a cute cake by Flour Shop. 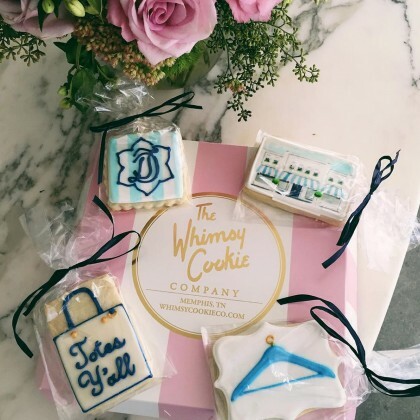 Camilla Belle said “Yes. 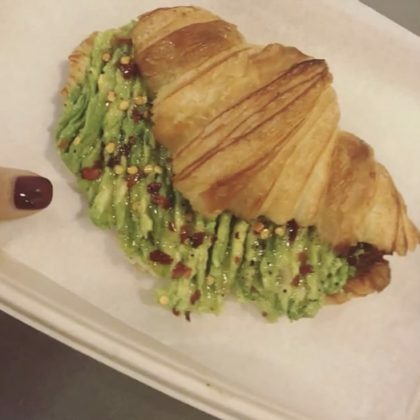 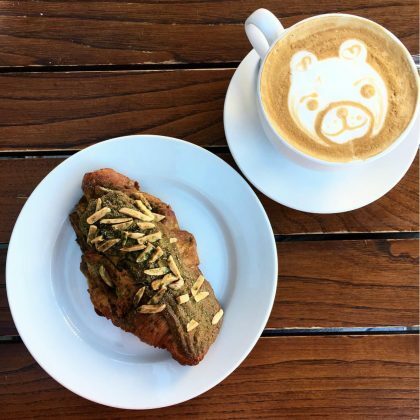 Please.” to her “Matcha almond croissant” and coffee from Chaumont Bakery & Café in September 2017. 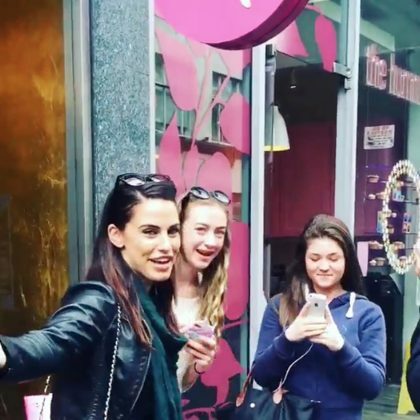 Jessica Lowndes stopped by The Hummingbird Bakery, South Kensington for her favorite red velvet cupcake in August 2017. 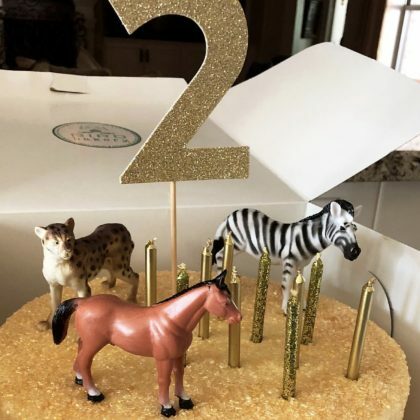 Spencer Pratt used the fire emoji for his August 2017 shoutout to Coco Bakes. 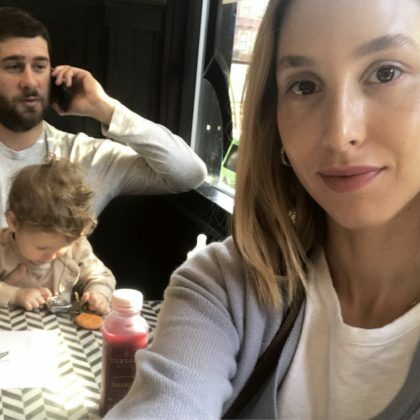 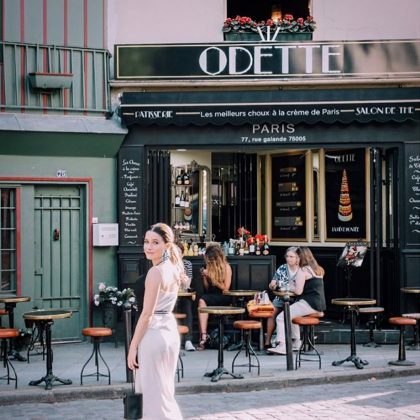 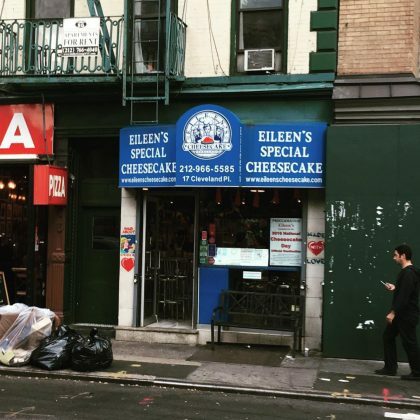 Bella Hadid sat at a table outside Steve’s Authentic Key Lime Pie in August 2017. 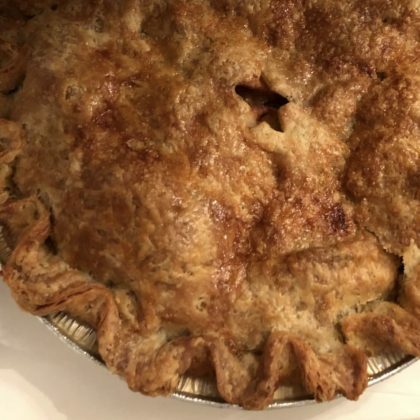 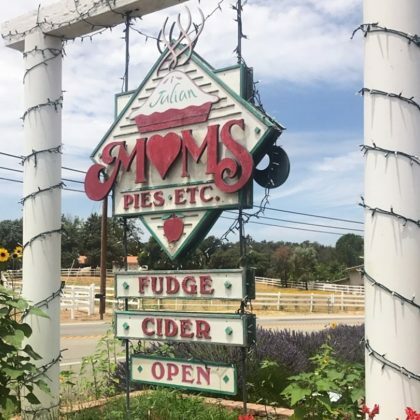 Becca Tobin said, “Oops,” after clearing her plate of apple pie a la mode at Mom’s Pie House, Wynola in July 2017. 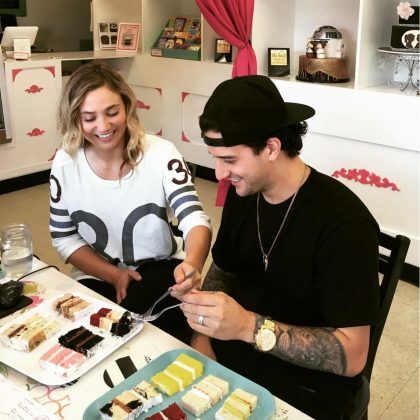 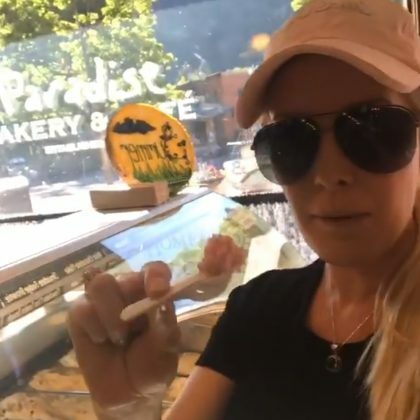 An expectant Heidi Pratt satisfied her cupcake craving in June 2017 with a trip to SusieCakes, Brentwood for a chocolate cake with vanilla frosting treat. 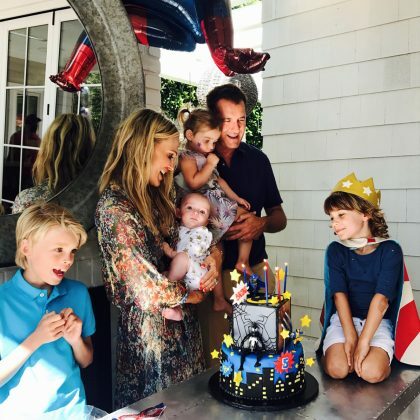 Molly Sims ordered a Batman-themed cake from Top Tier Treats for son Brooks Stuber’s fifth birthday party in June 2017. 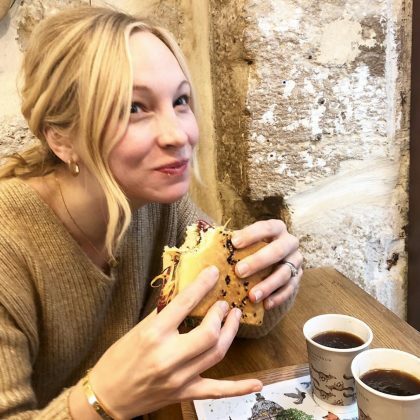 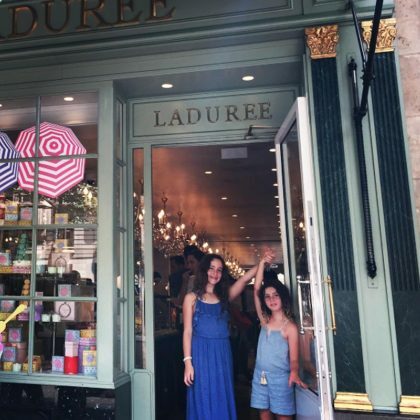 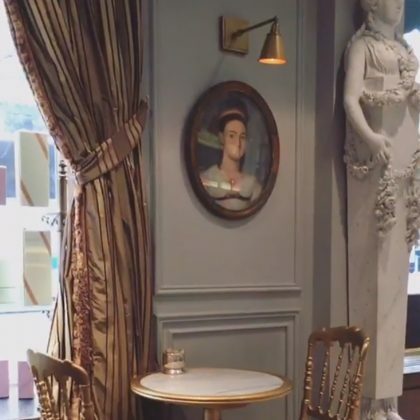 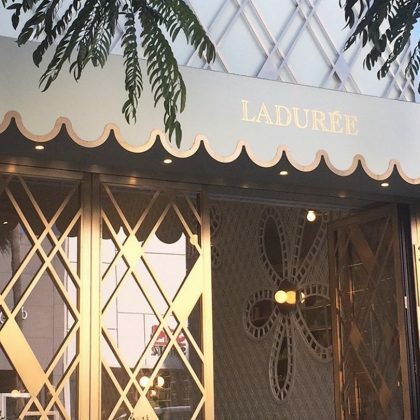 Kelly Rutherford was back and loving the interior of this Ladurée location in June 2017. 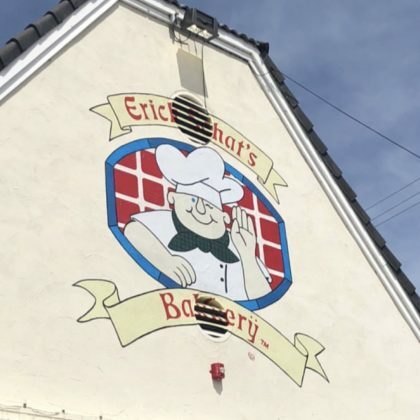 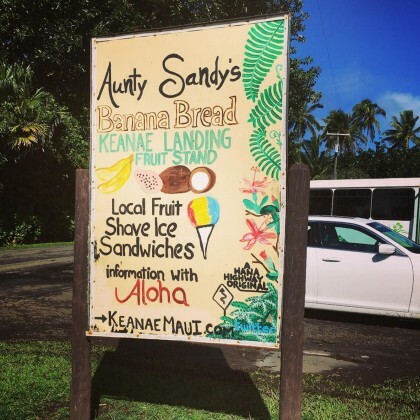 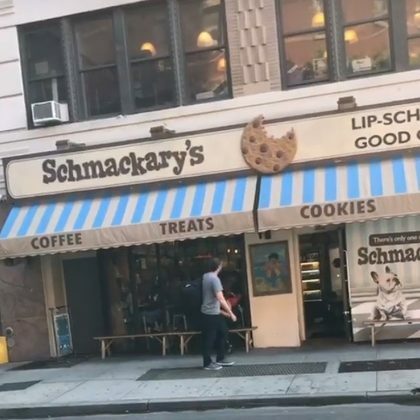 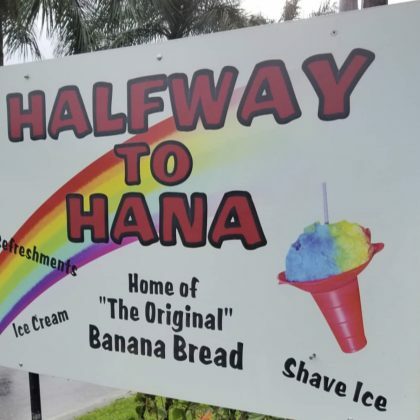 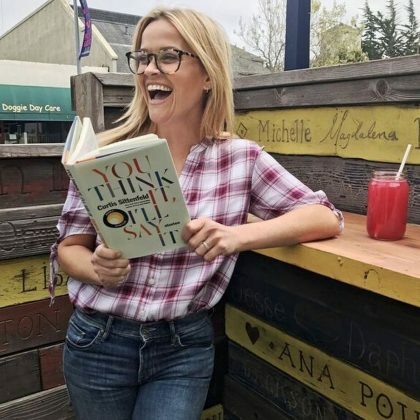 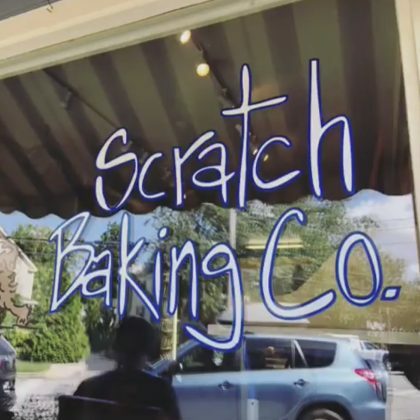 Candace Cameron Bure﻿ shared in May 2017 that Schmackary’s holds a special place in her heart. 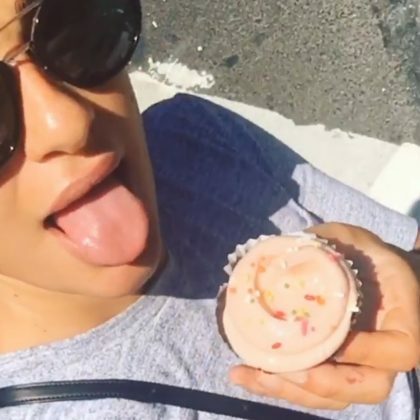 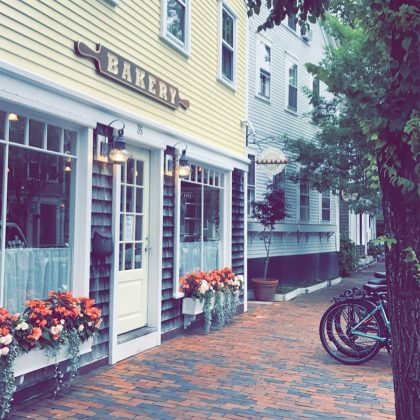 ﻿”Yes please” was ﻿Lea Michele﻿’s response to her pink-frosted cupcake from here in May 2017. 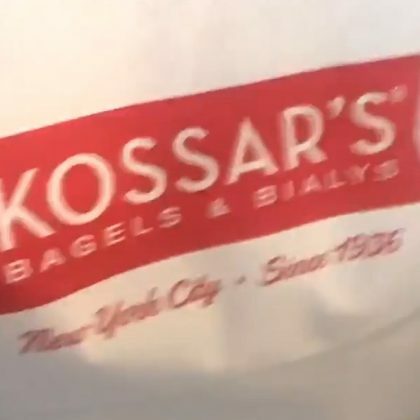 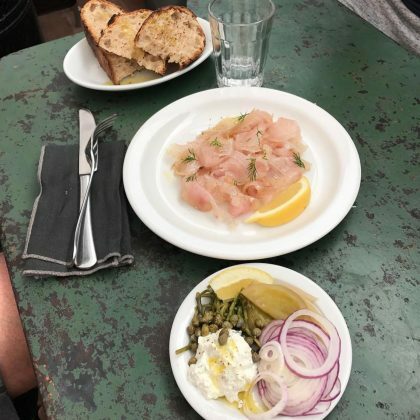 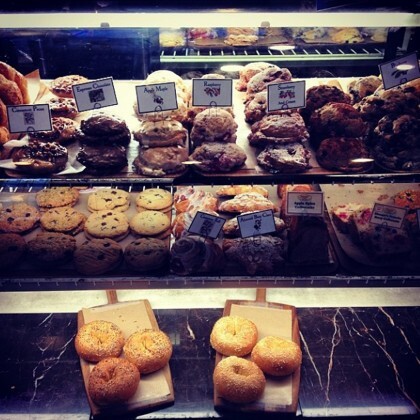 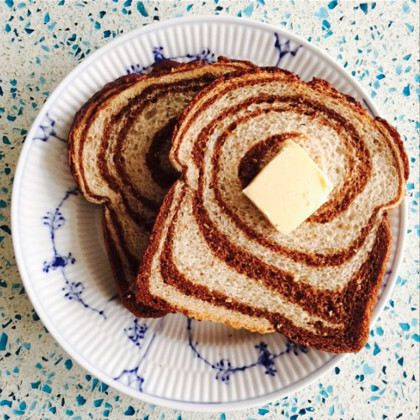 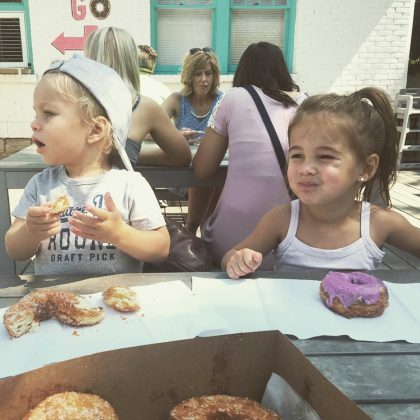 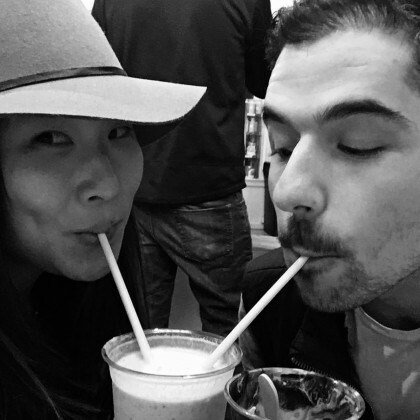 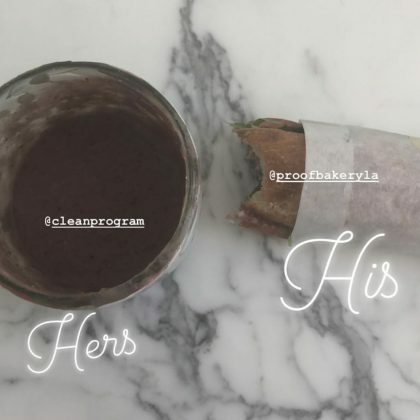 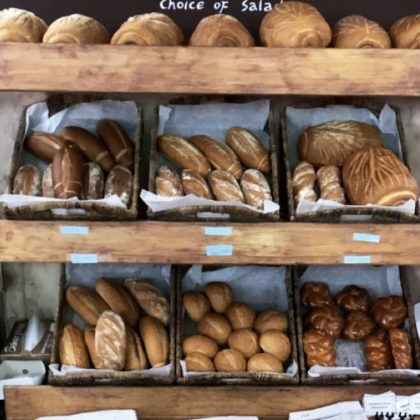 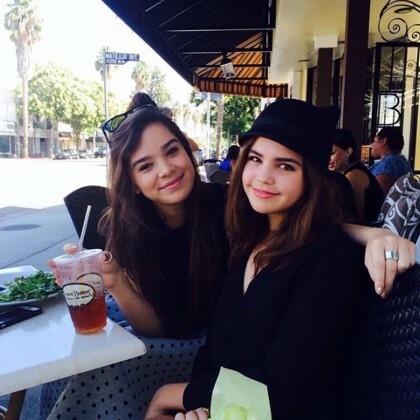 America Ferrera﻿ shared some “Sunday morning bagels” from Kossar’s Bialys with her “buddies” in May 2017. 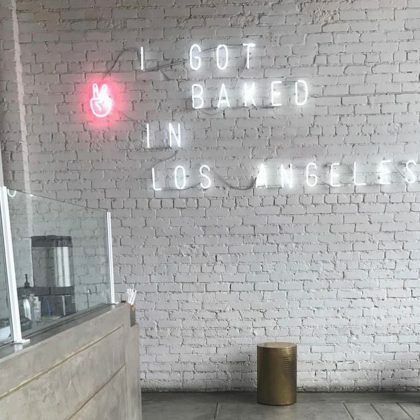 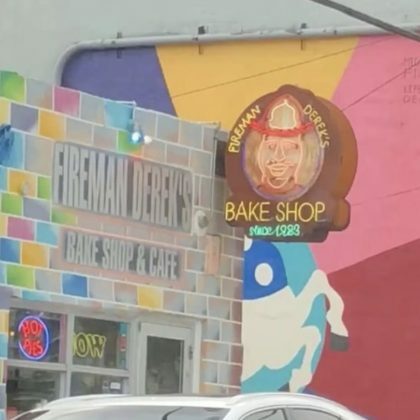 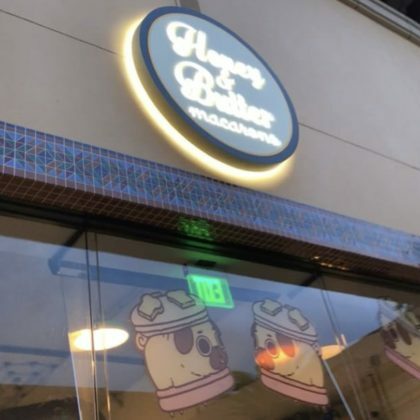 Pete Wentz﻿ took a picture of the signature “I GOT BAKED IN LOS ANGELES” neon sign at Mr. Holmes Bakehouse, Los Angeles-Highland Park in May 2017. 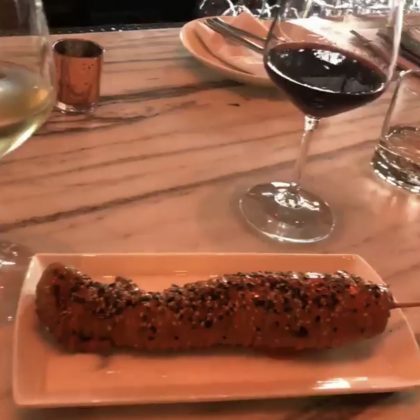 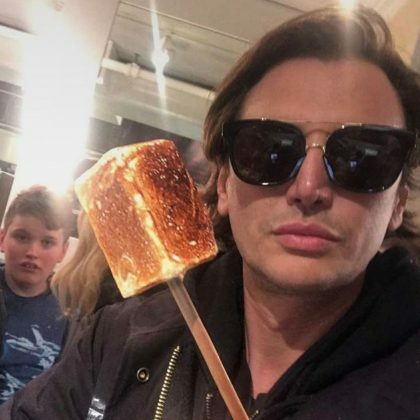 Jonathan Cheban tested the frozen s’mores ($7) in April 2017. 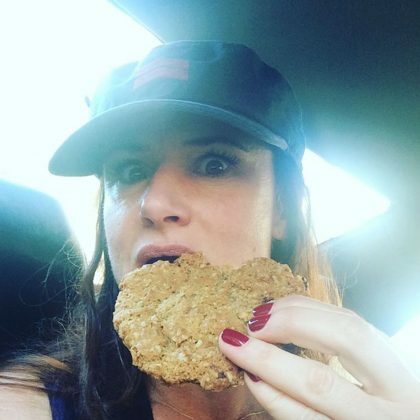 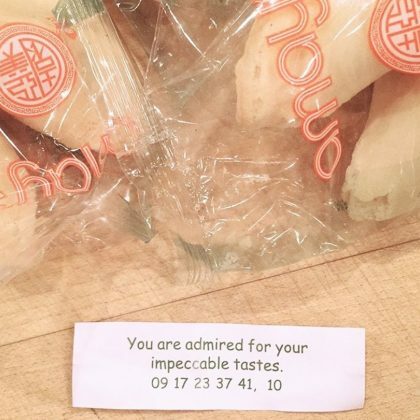 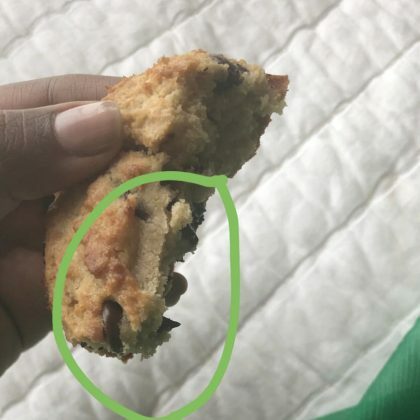 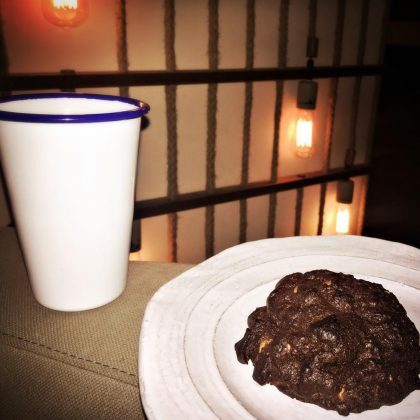 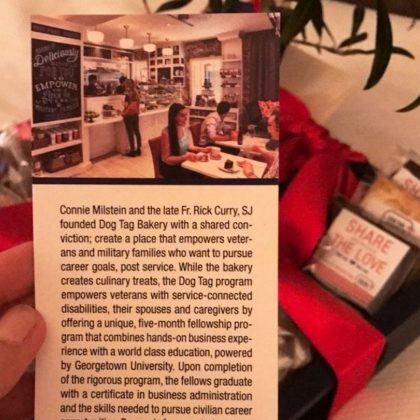 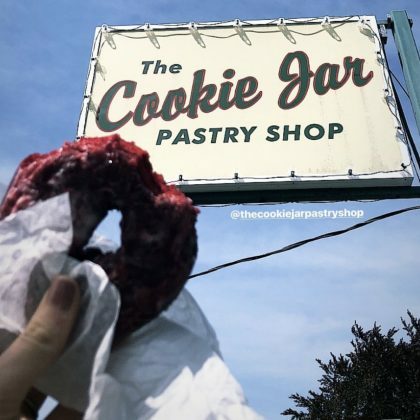 Sophia Bush﻿ ate some of Warm Belly Bakery’s “COOOOOOKIES” in April 2017. 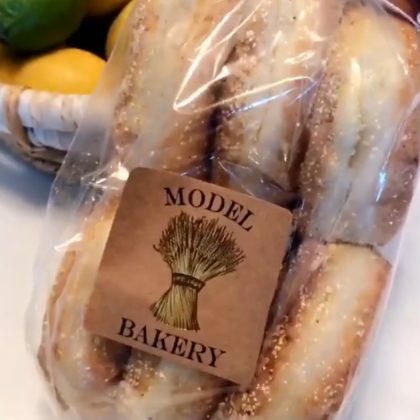 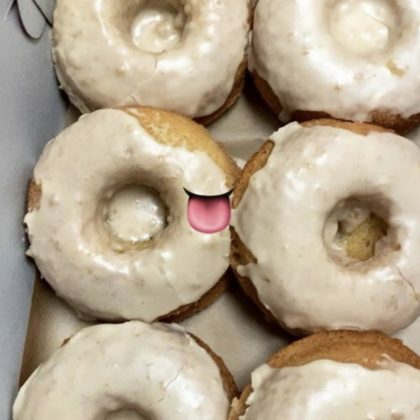 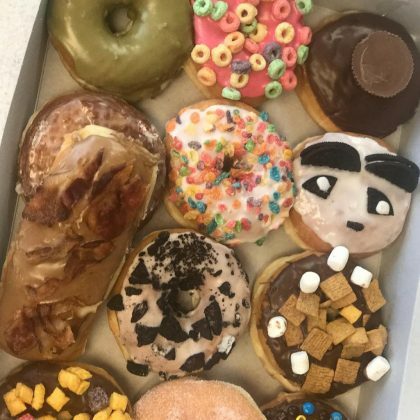 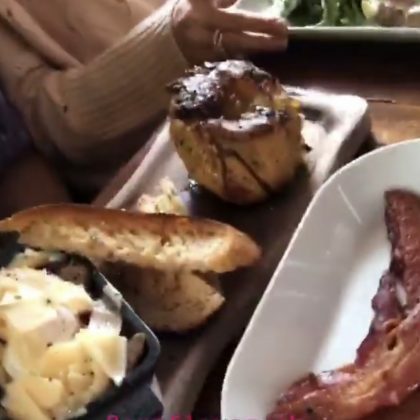 “Oh my gahhhh” is what Lucy Hale said when she was checking out some Union Fare Gastrohall and Bakery treats in April 2017. 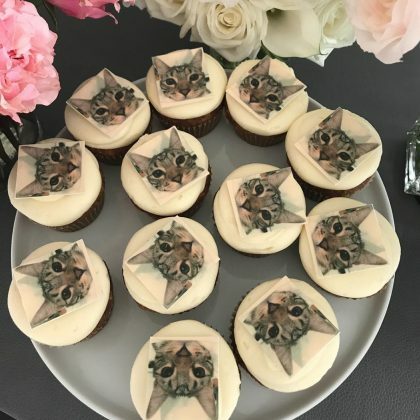 Camilla Belle checked out the treats at Patisserie Sadaharu Aoki Paris in April 2017. 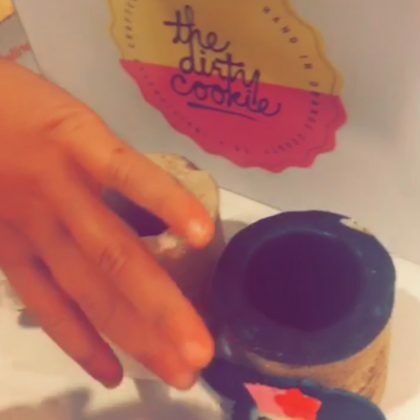 It was a “Sunday fun day @Georgetowncupcake” for a frosting bag-wielding Katie Holmes and Suri Cruise in April 2017. 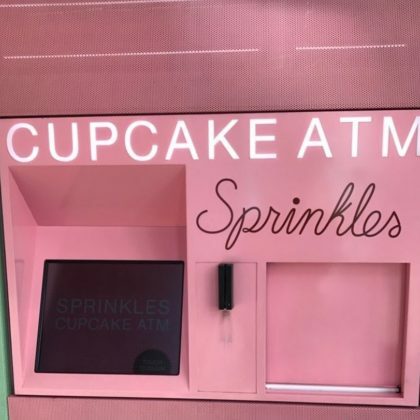 “How can I NOT get one?” is what Ali Fedotowsky asked when she went by the cupcake ATM at Sprinkles Cupcakes, The Grove in March 2017. 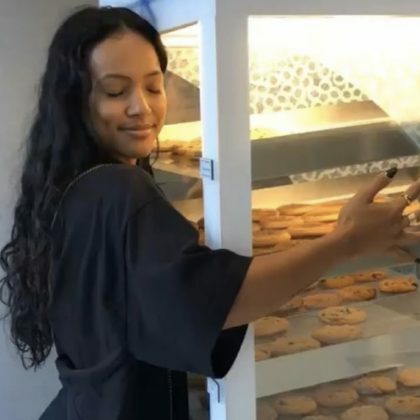 Christina Milian stopped by the gorgeous Ladurée store in Beverly Hills in March 2017. 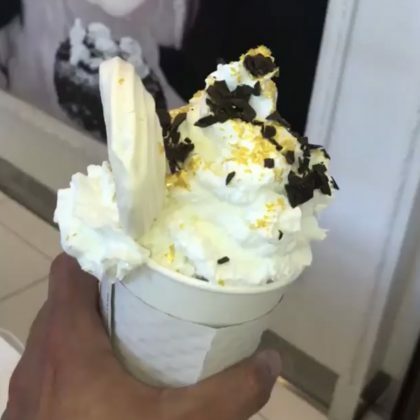 Adrienne Bailon and some “beautiful souls” enjoyed “Late night dessert” at Sprinkles Cupcakes, Beverly Hills on Valentine’s Day in February 2017. 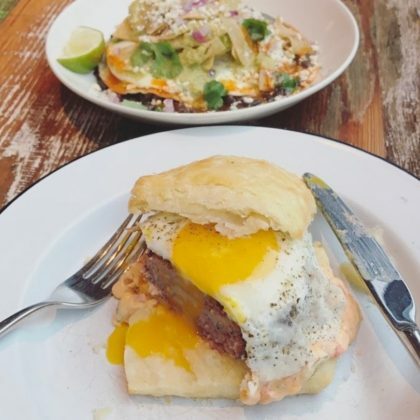 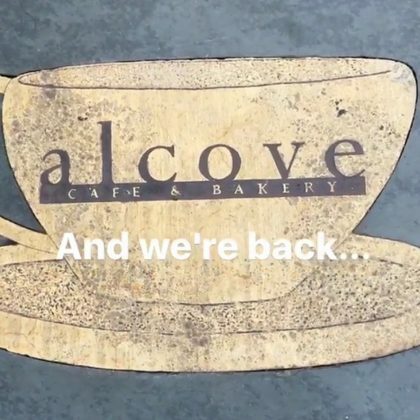 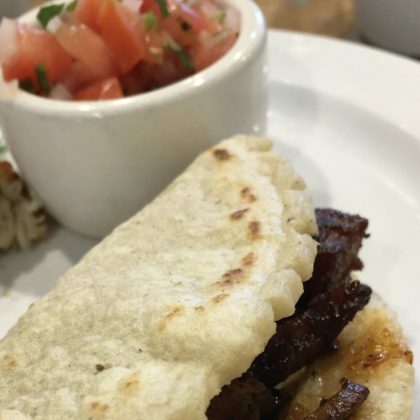 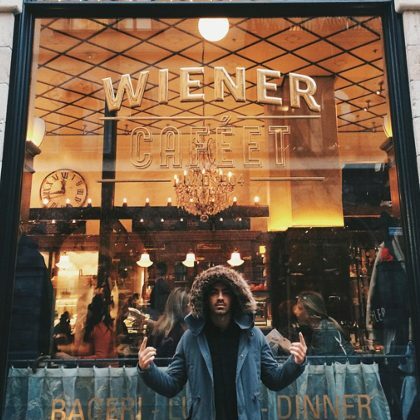 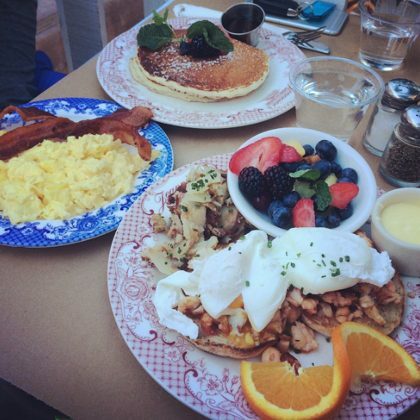 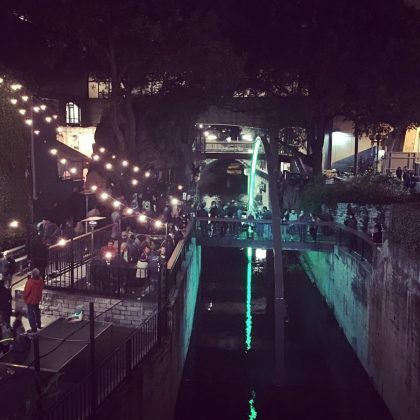 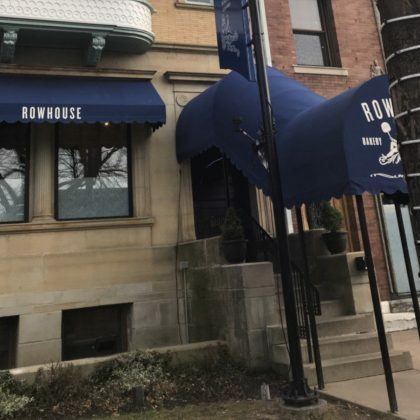 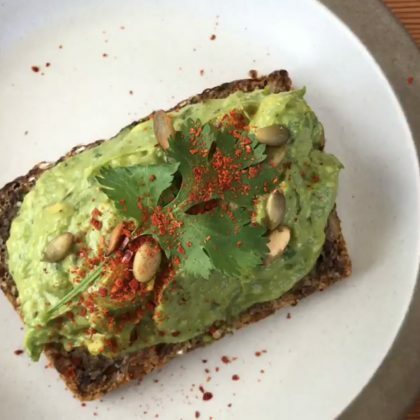 Wilmer Valderrama﻿ ordered avocado toast ($15), huevos rancheros ($15), the sausage biscuit ($10), and a coffee when he came here in January 2017. 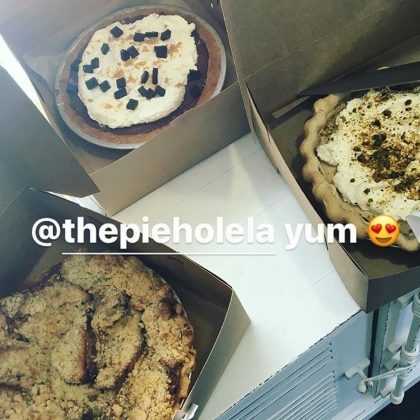 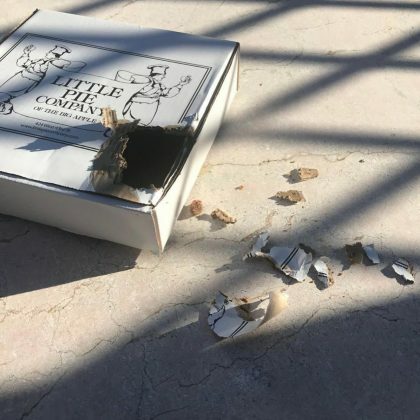 “Yum” was what Rachel Zoe said about a trio of Pie Hole pies in January 2017. 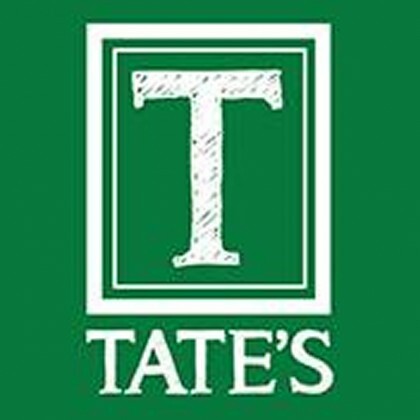 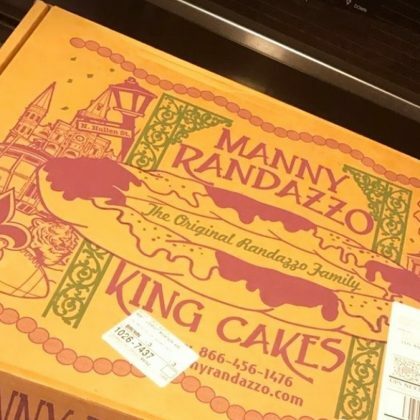 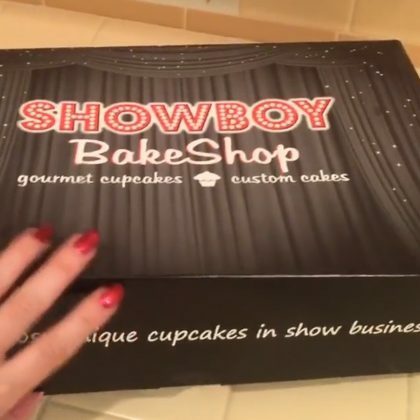 In November 2016, Holly Madison picked up her annual order of Thanksgiving-themed cupcakes from here. 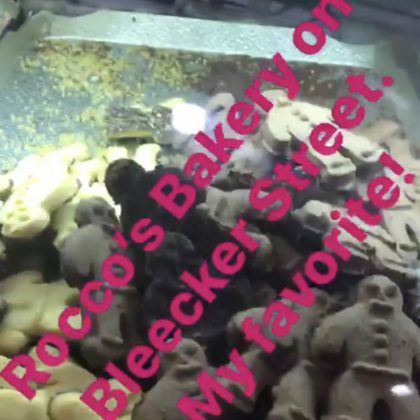 Jessica Seinfeld checked out the bread offerings at Orwasher’s Bakery, Upper West Side in November 2016. 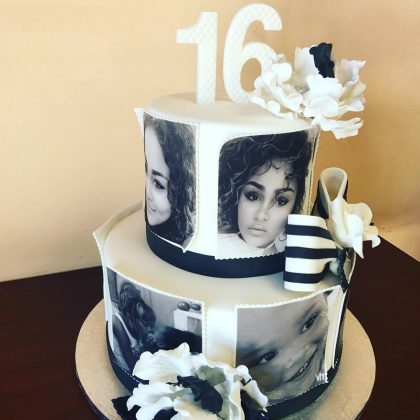 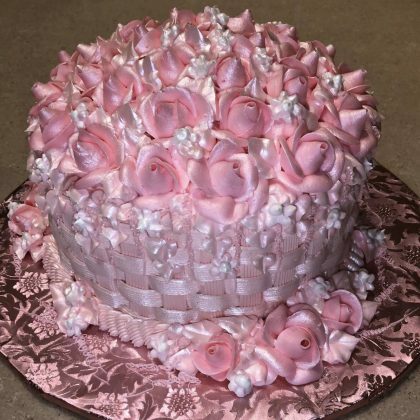 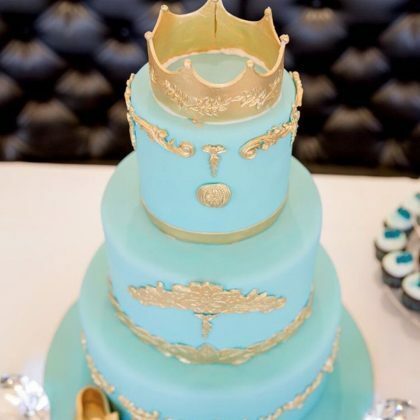 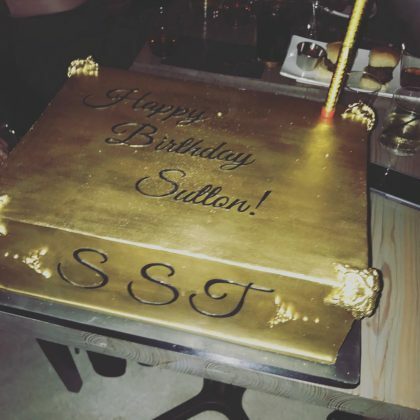 When ﻿Adrienne Bailon﻿ got married in November 2016, her “Red Velvet cake with cream cheese frosting” came from SweetNess & Cook. 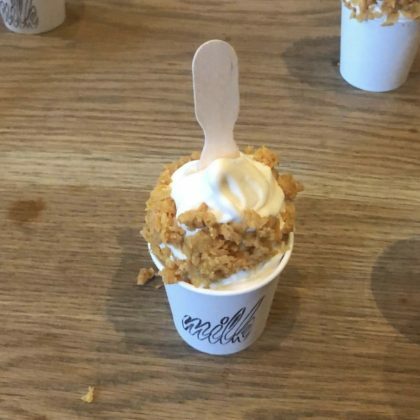 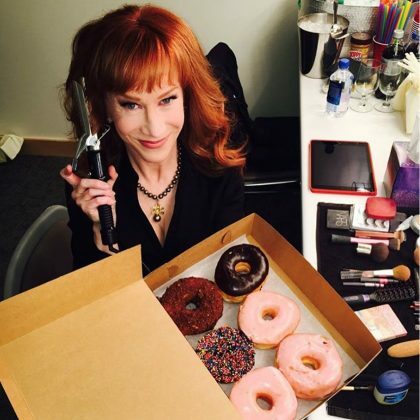 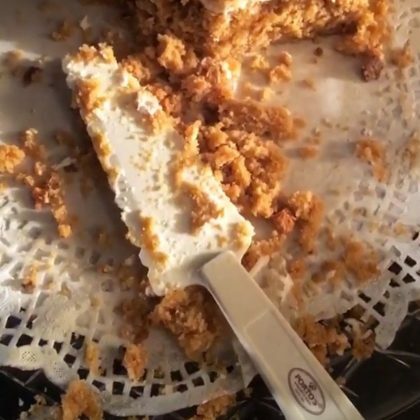 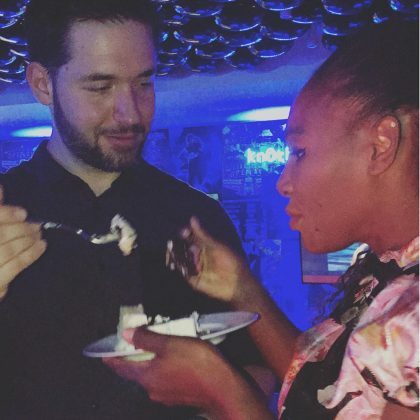 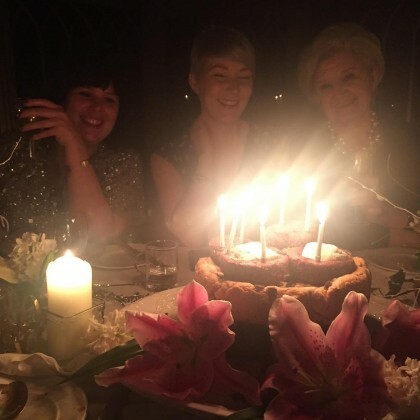 Mindy Kaling﻿ shared a shot of Eileen’s Special Cheesecake in October 2016. 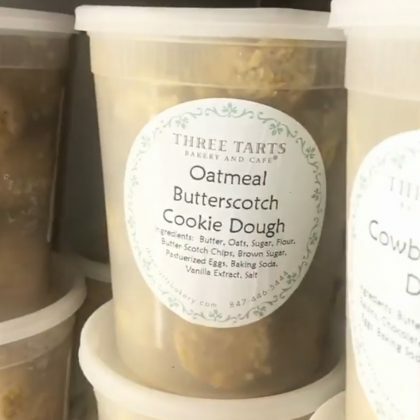 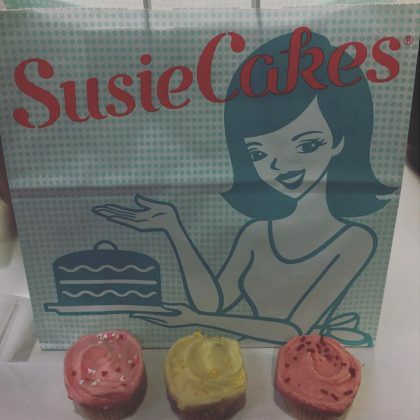 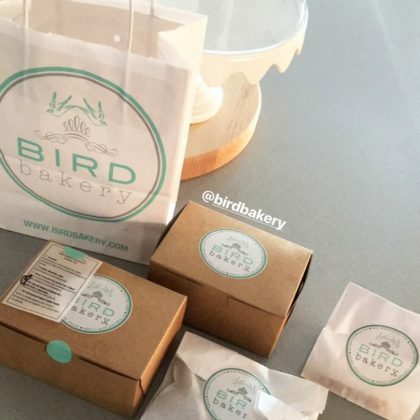 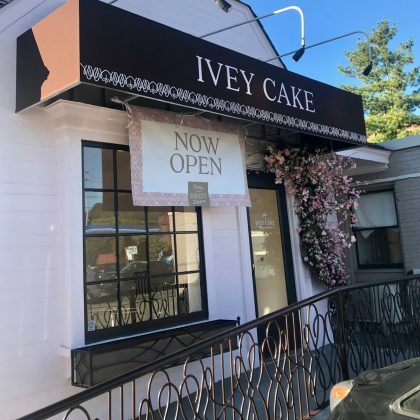 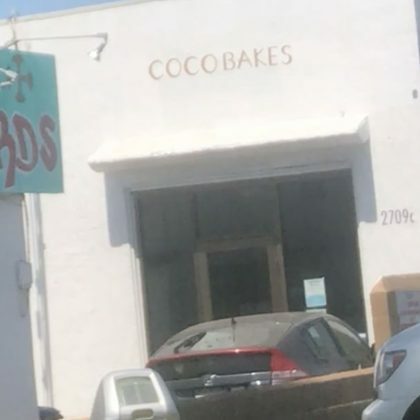 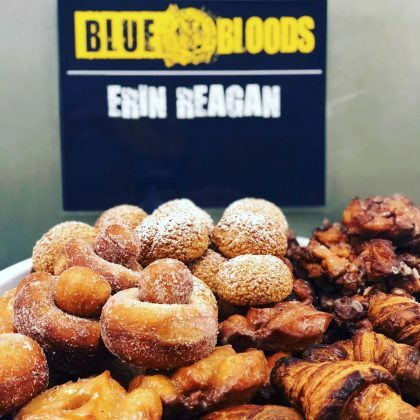 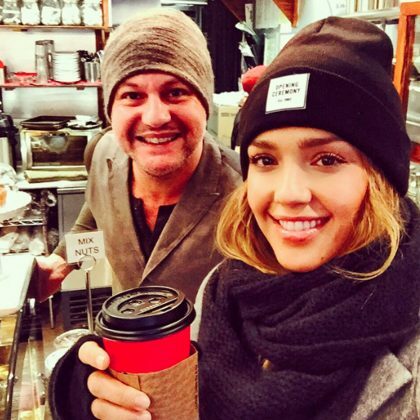 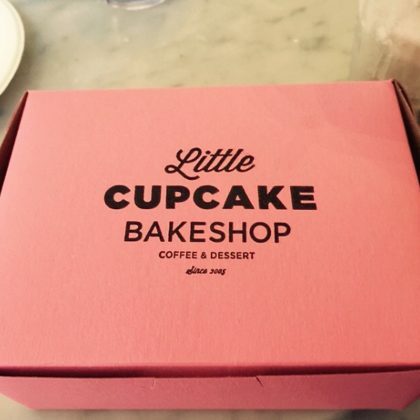 “Baby Cakes in NYC” is what Kourtney Kardashian said about the cupcakes she checked out at Erin McKenna’s Bakery, New York City in September 2016. 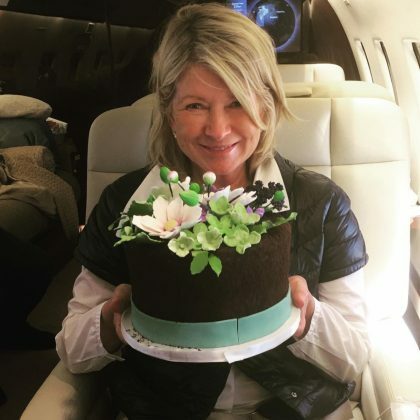 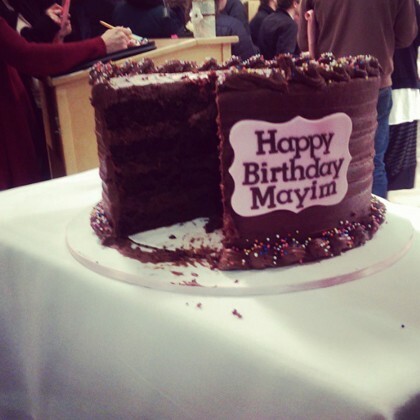 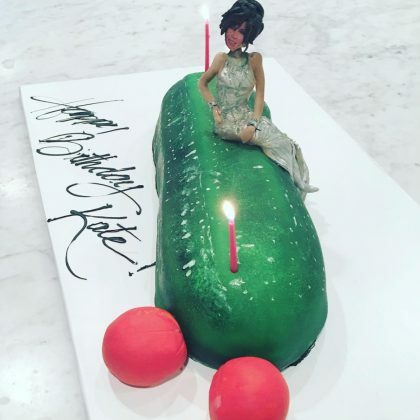 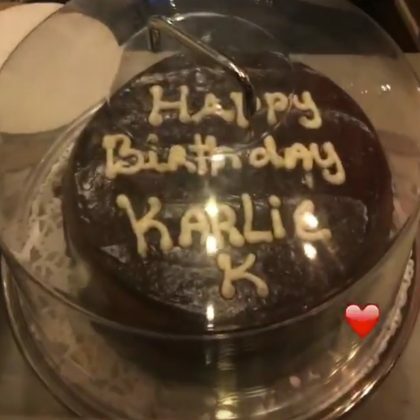 Karlie Kloss was excited for the chocolate birthday cake Little Cupcake Bakeshop, Third Avenue made for her in August 2016. 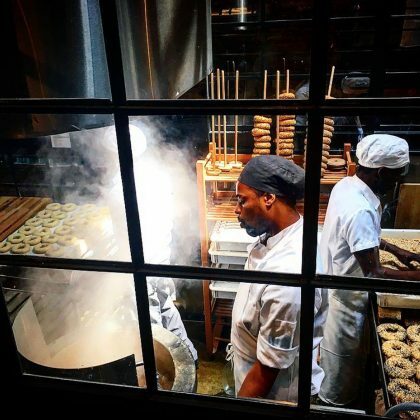 Eric Stonestreet﻿ photographed the “Hot, steaming, right out of the bagel cooker thingy bagels” at Sadelle’s in June 2016. 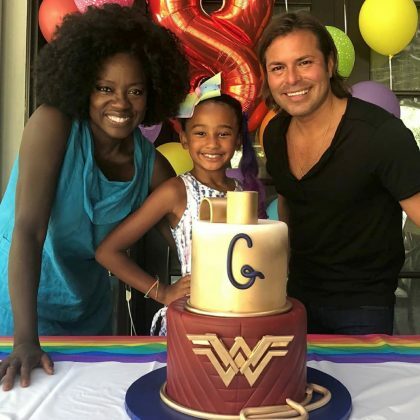 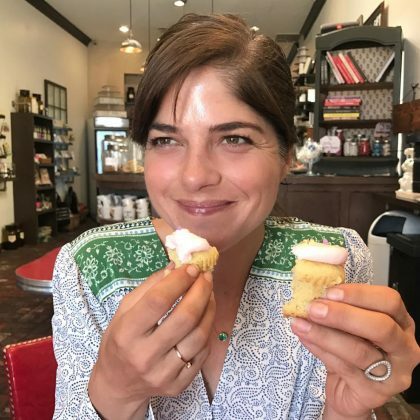 Michelle Williams (singer) was excited to eat an “amazing assortment” of Molly’s Cupcakes in June 2016 — she had “#peachcobbler #strawberryshortcake #cremebrulee” and “#chocolate” ones to choose from. 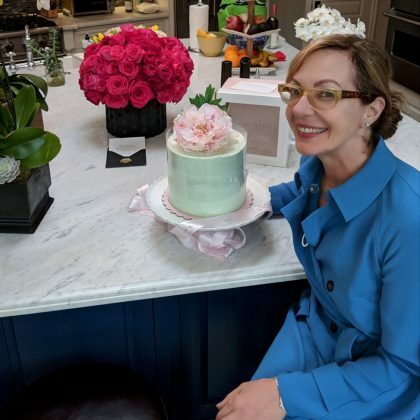 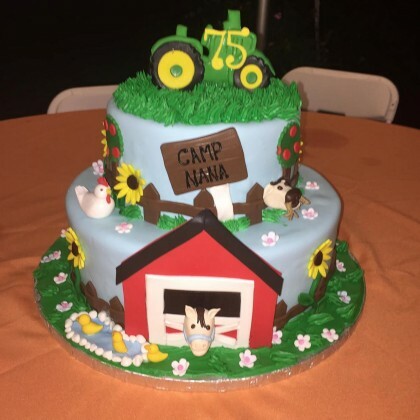 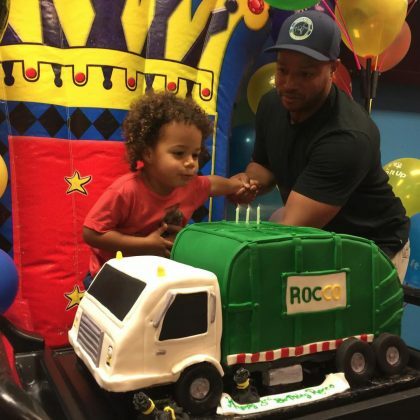 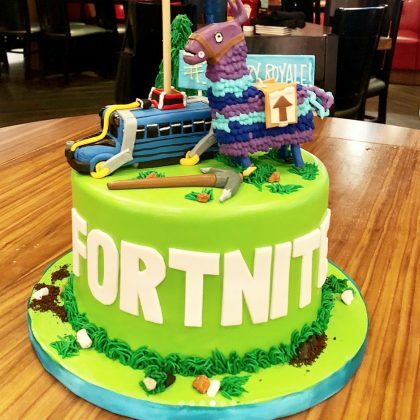 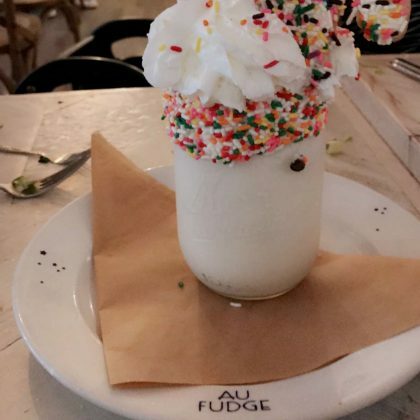 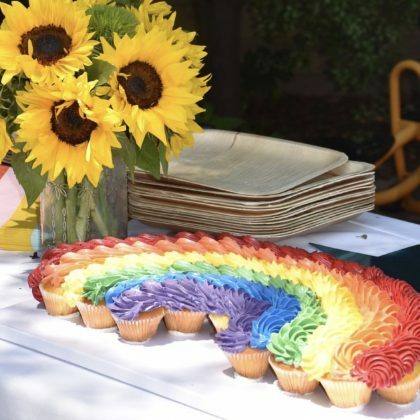 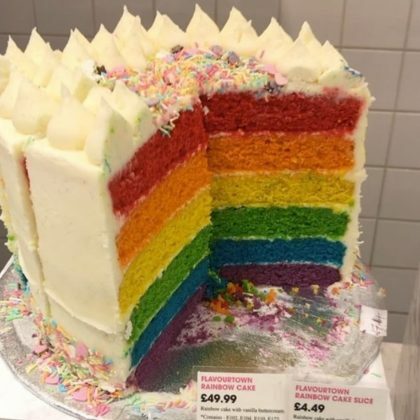 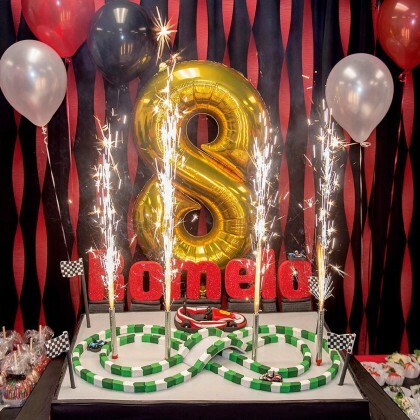 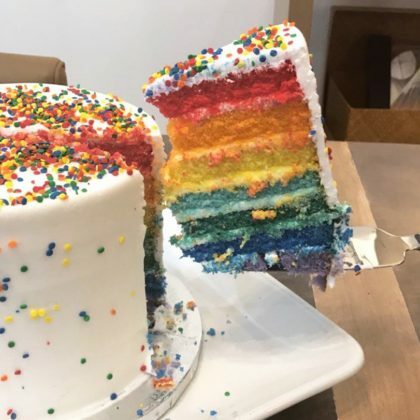 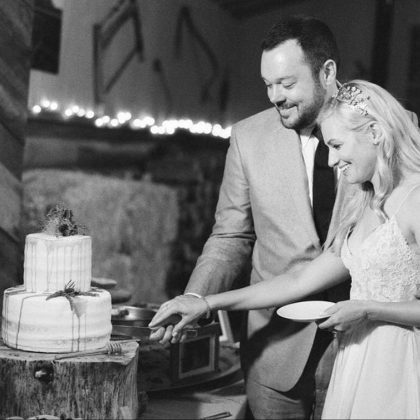 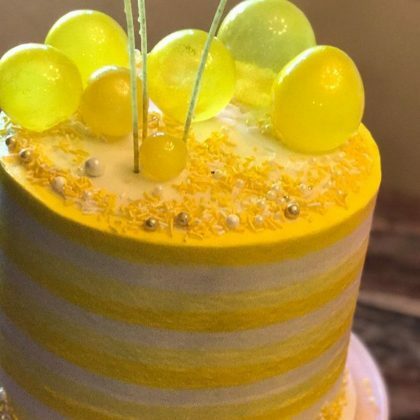 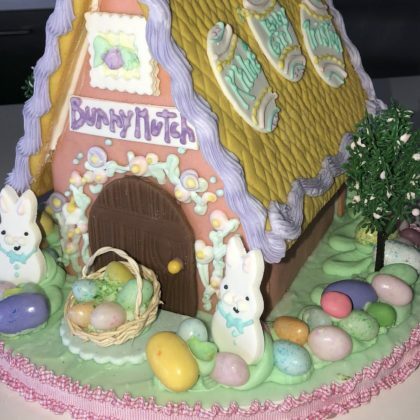 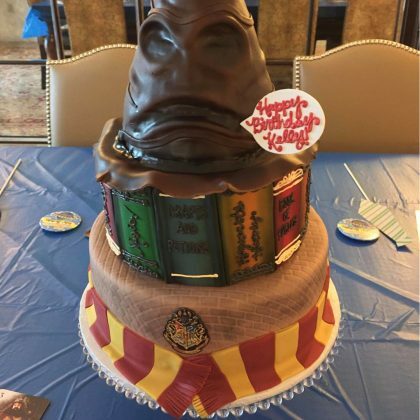 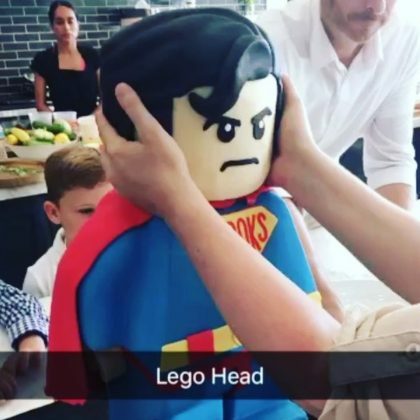 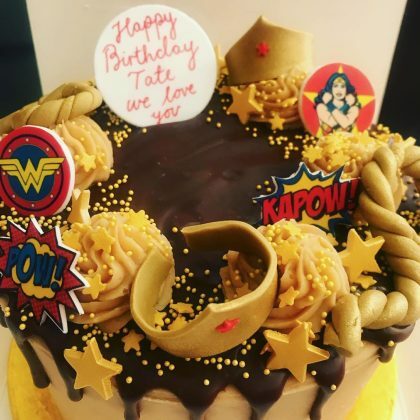 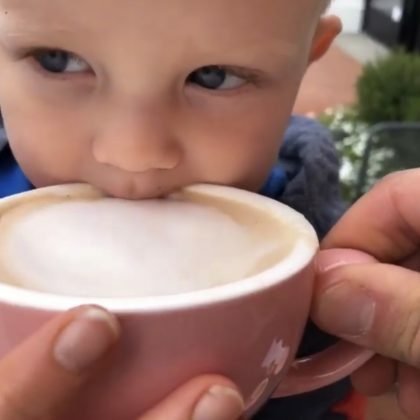 Molly Sims﻿ ordered a vanilla bean and ganache cake from The Butter End Cakery in the shape of a Lego figurine for her son’s birthday party in June 2016. 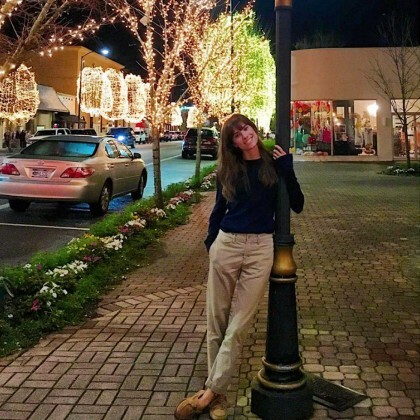 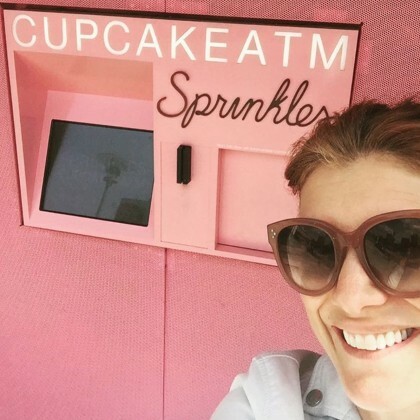 Kate Walsh﻿ called this “My kinda ATM, Atlanta” when she was here in April 2106. 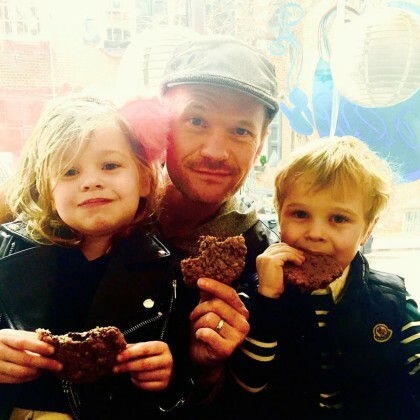 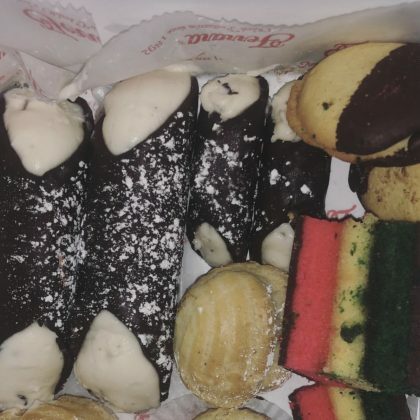 In March 2016, Neil Patrick Harris shared that he and his family “went on a walking tour of Greenwich Village restaurants, courtesy of Foods of NY Tours” ($49-$52/person) and that “Good times” were had by all, “especially when cookies were involved” from Milk & Cookies Bakery ($2.85). 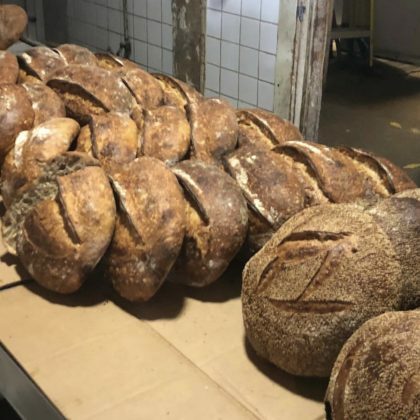 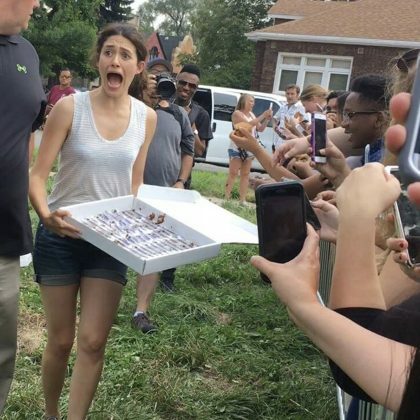 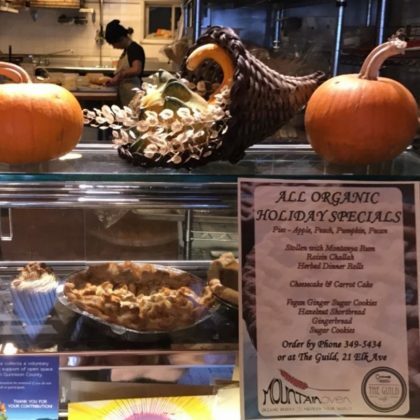 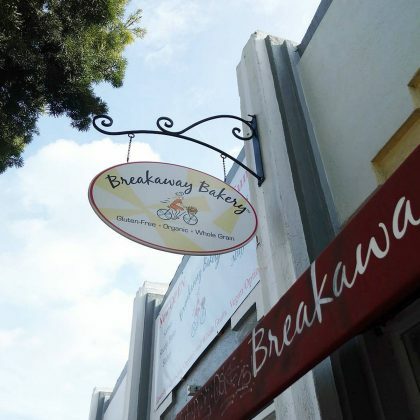 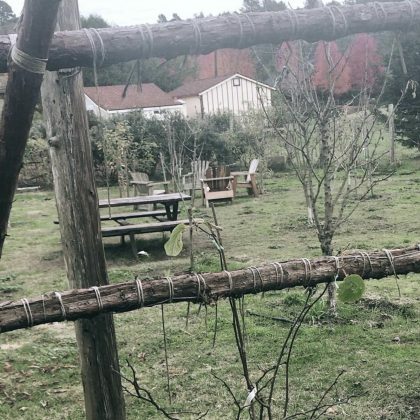 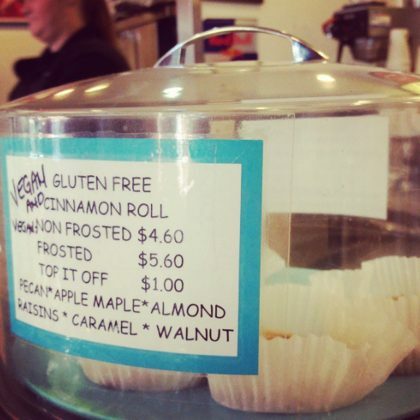 Emmy Rossum applauded the gluten-free and organic baked goods at Breakaway Bakery in January 2016. 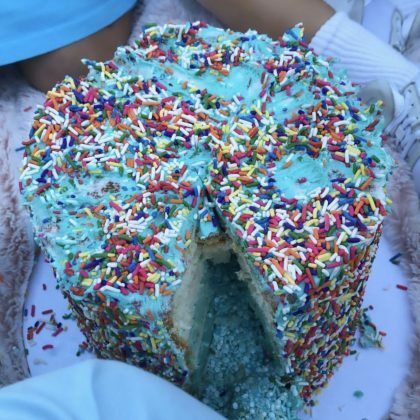 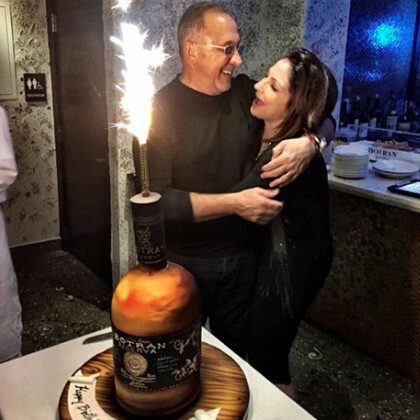 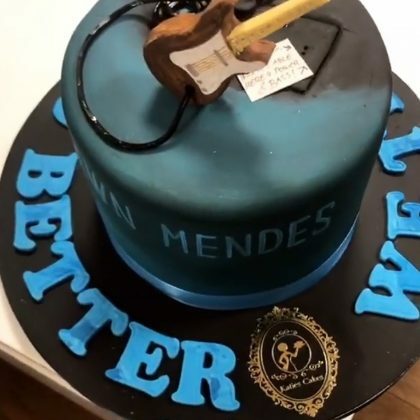 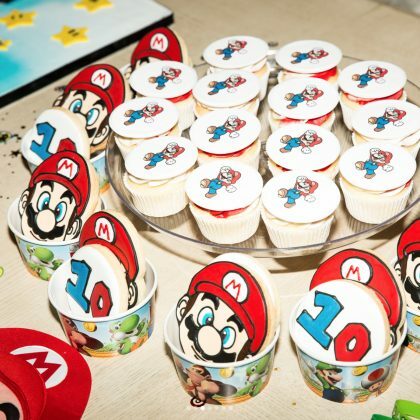 Ellie Goulding enjoyed a “Beautiful” Cookies and Scream cake on her 29th birthday in December 2015. 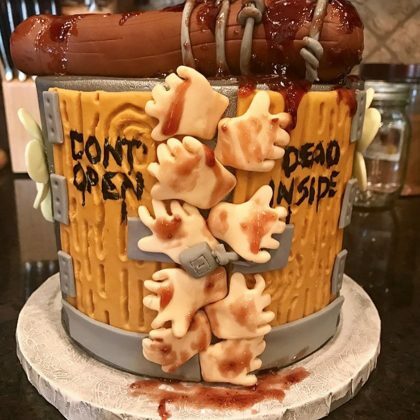 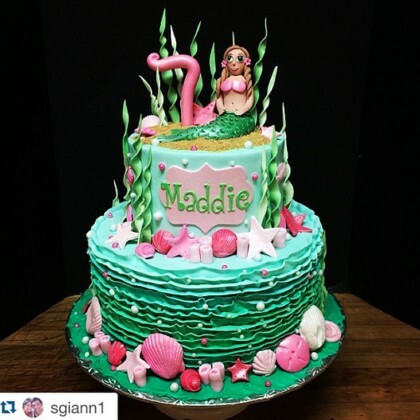 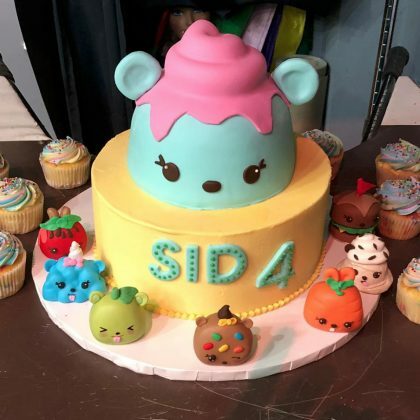 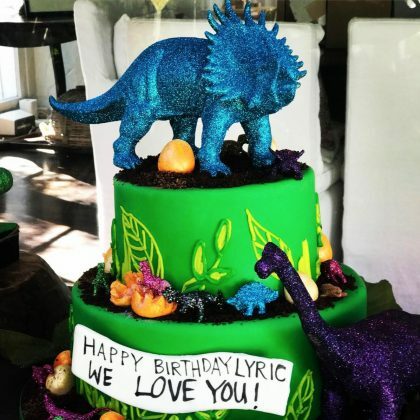 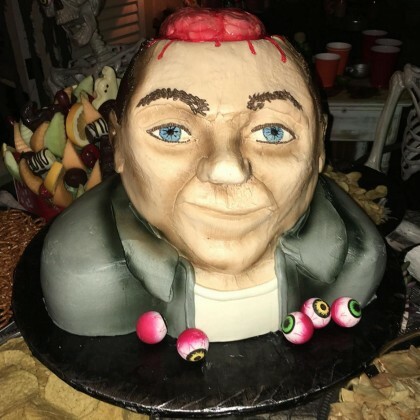 Chloe Grace Moretz shared a shot of “The sickest Halloween cake ever by” Hansen Cakes Bakery in November 2015. 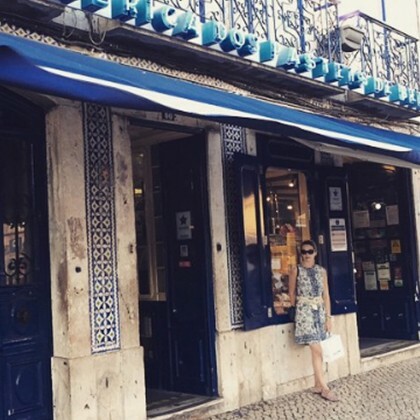 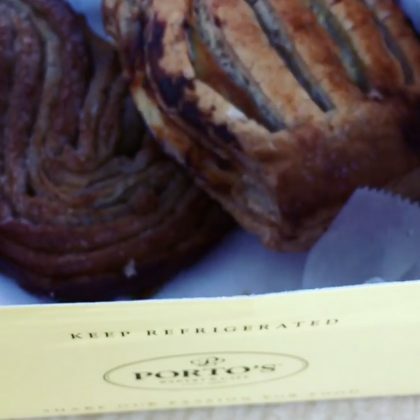 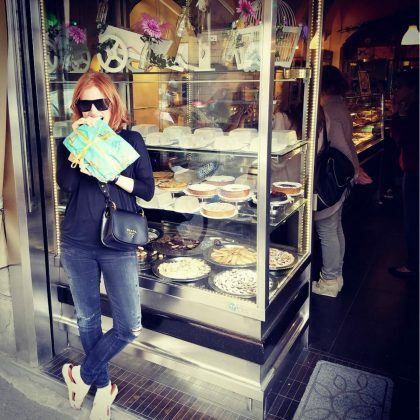 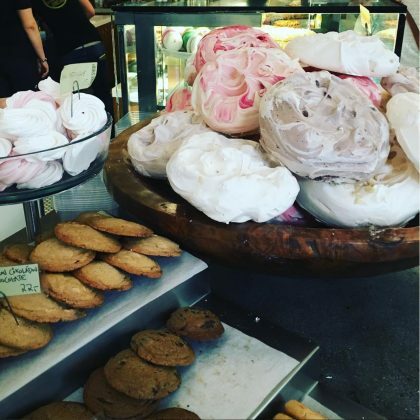 Kiernan Shipka﻿ said “Oh hello!” to the piles of pastries at Du Pain et des Idees in October 2015. 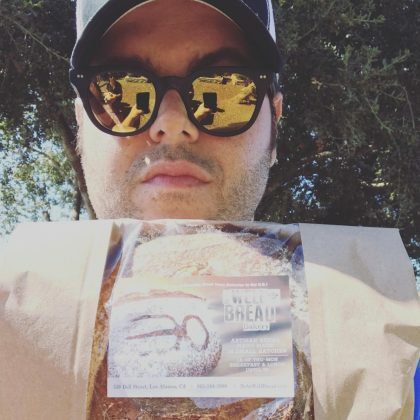 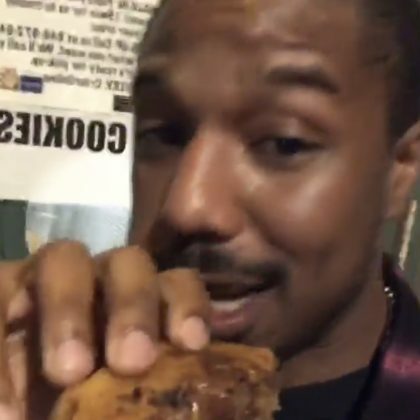 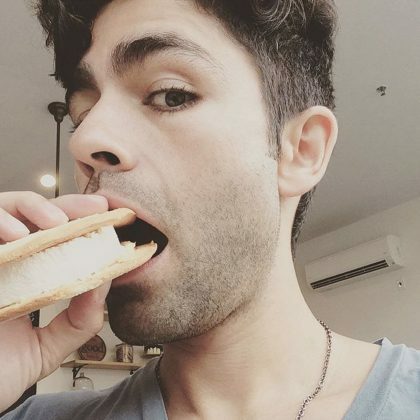 Adrian Grenier chowed down on an “Ice-cream sammie” from The Good Batch in September 2015. 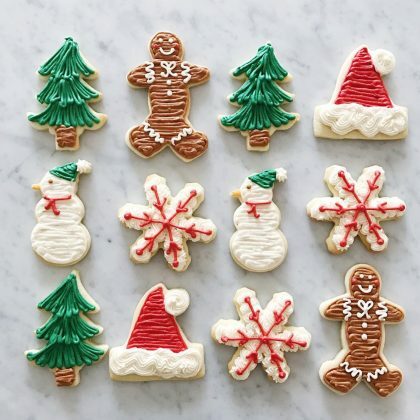 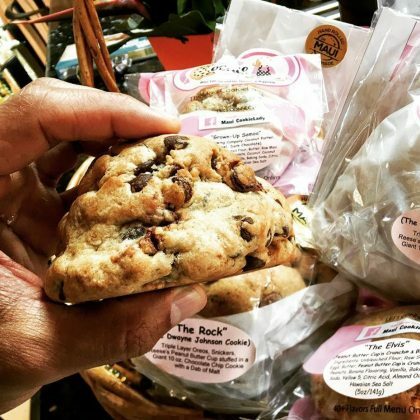 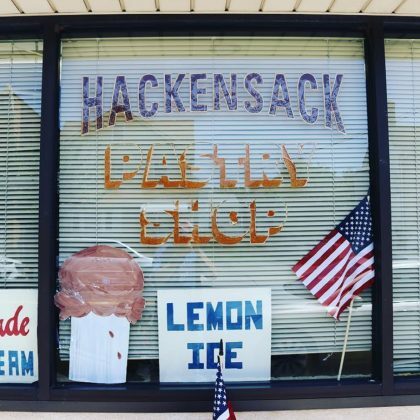 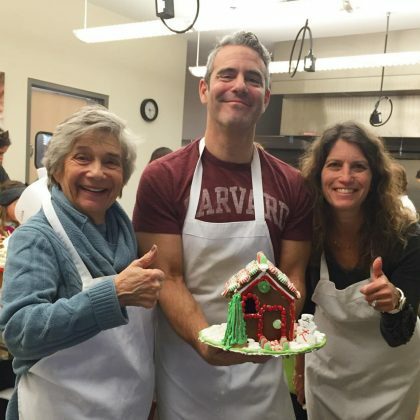 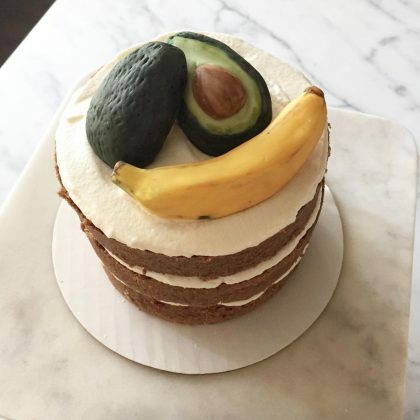 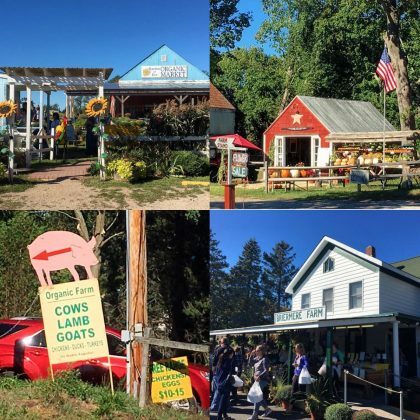 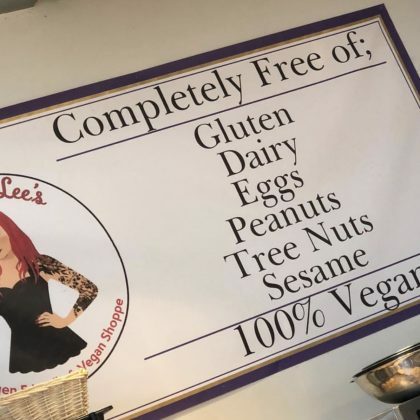 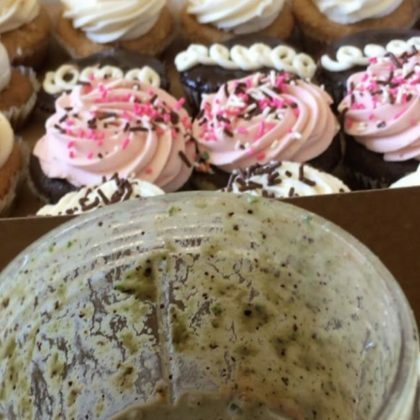 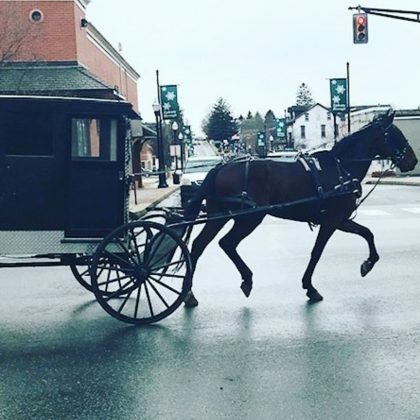 Bethenny Frankel sang the praises of Blossom Bakery in September 2015, saying everything there “is vegan and amazing. 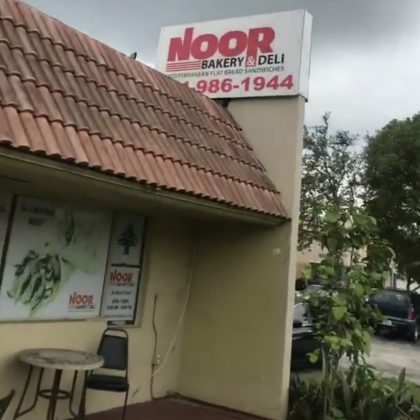 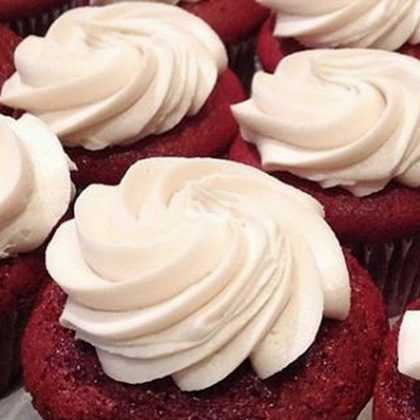 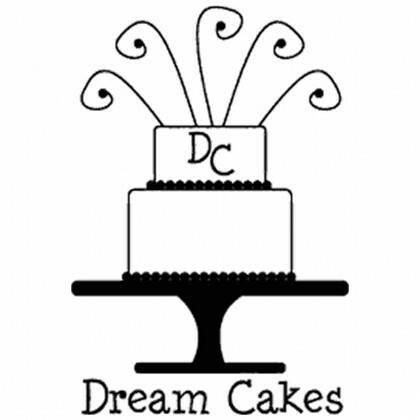 Their red velvet cupcakes are BEYOND” ($3.50). 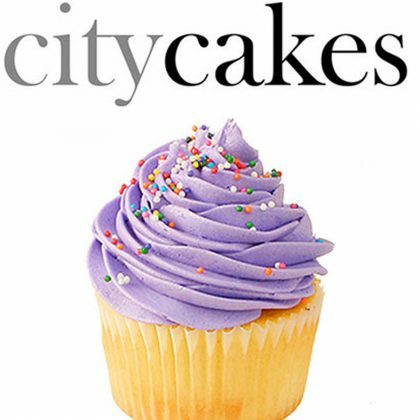 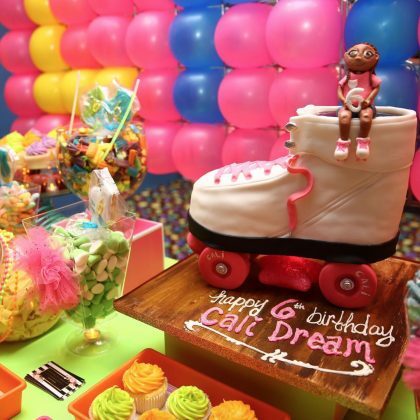 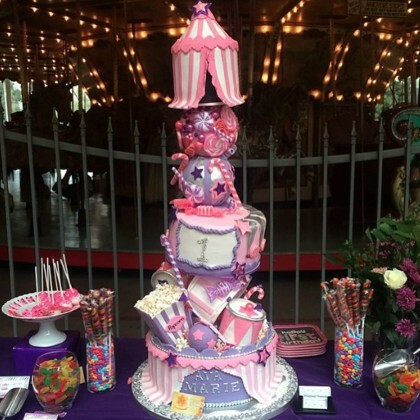 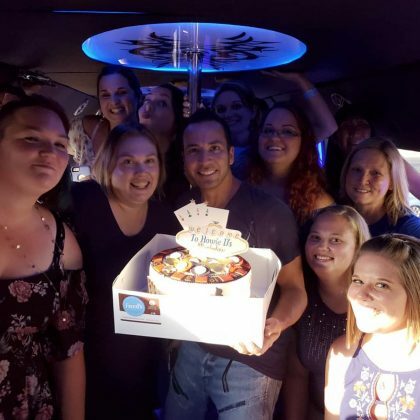 Lance Bass﻿ was happy to receive “a tower of cupcakes and cookies” from City Cakes in September 2015. 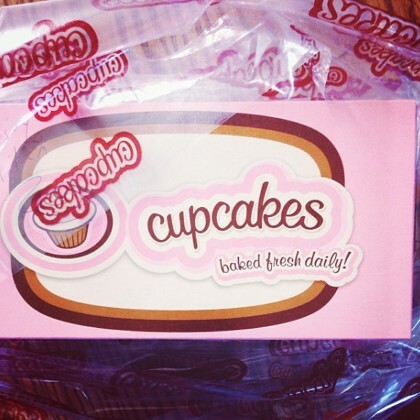 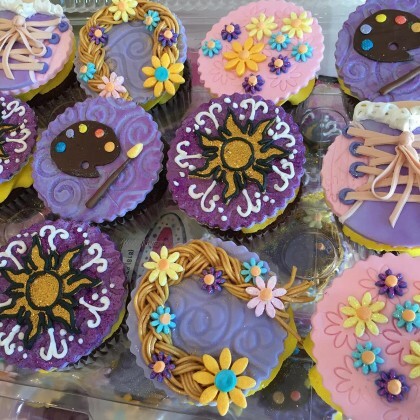 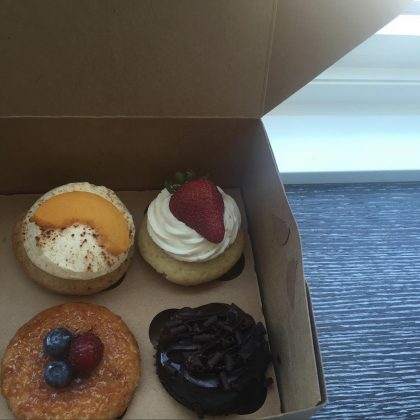 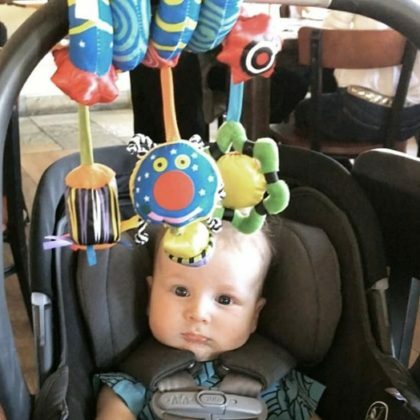 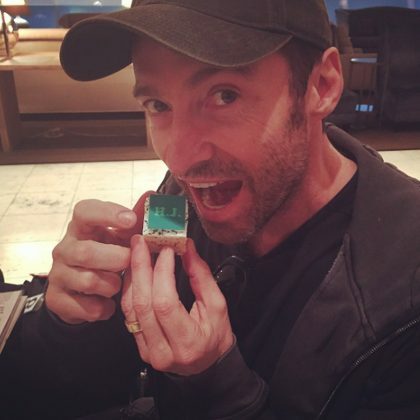 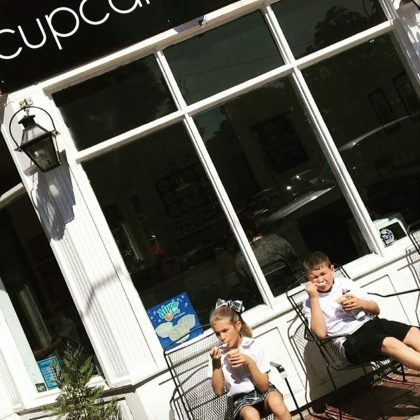 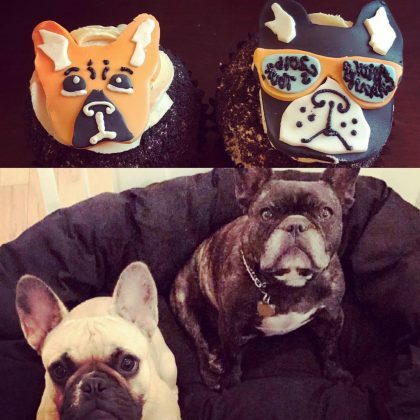 Kelly Rutherford had a box of treats from Little Cupcake Bakeshop in July 2015. 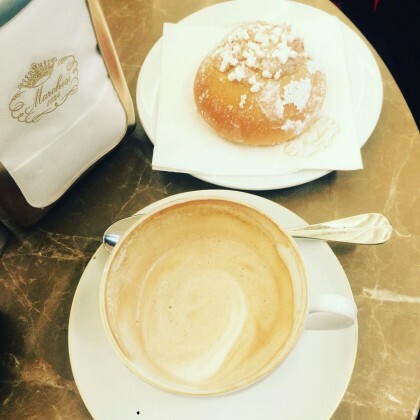 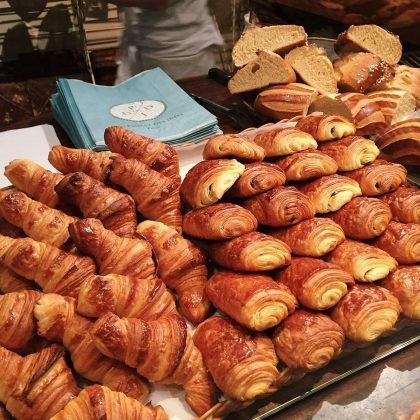 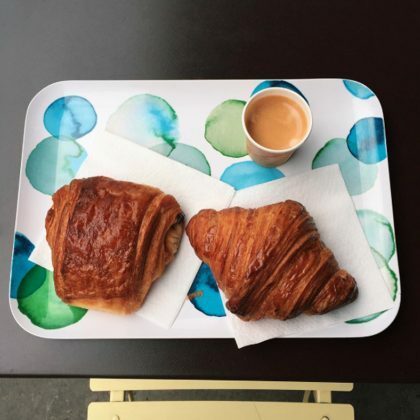 “WOAH” was all Kiernan Shipka could say about her croissants at Blé Sucré in July 2015. 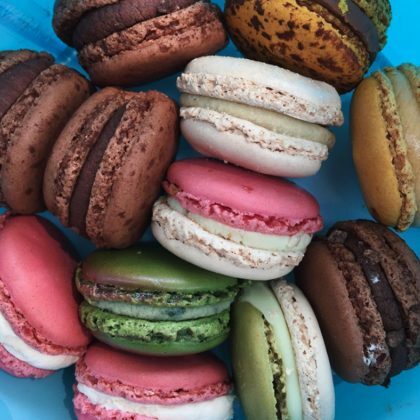 Kiernan Shipka﻿ said it was “Snack time” when she picked up some macarons from Pierre Hermé in July 2016. 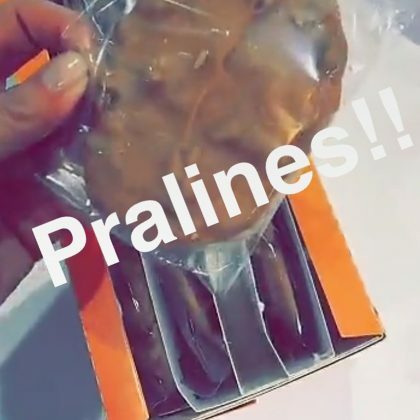 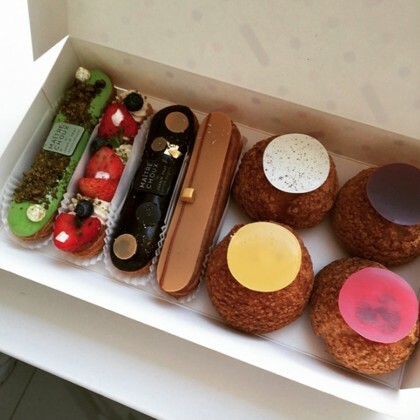 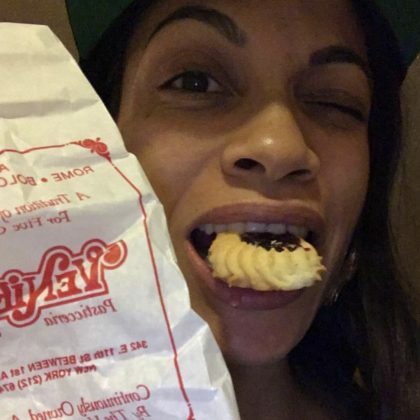 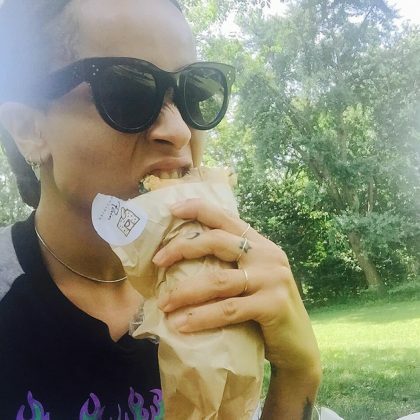 Lily Allen﻿ said “Mmmmmmm” about some Maitre Choux treats in June 2015. 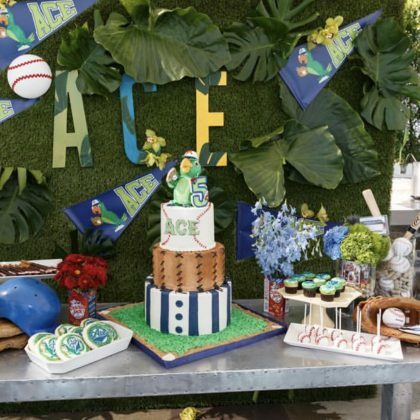 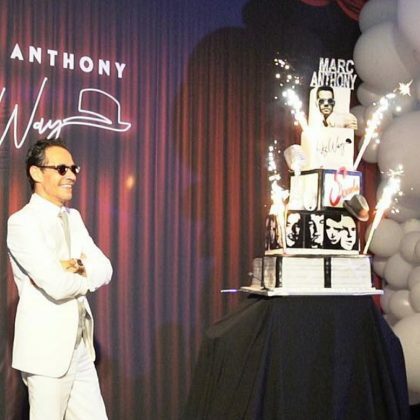 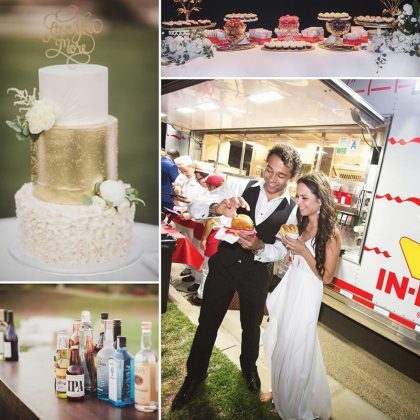 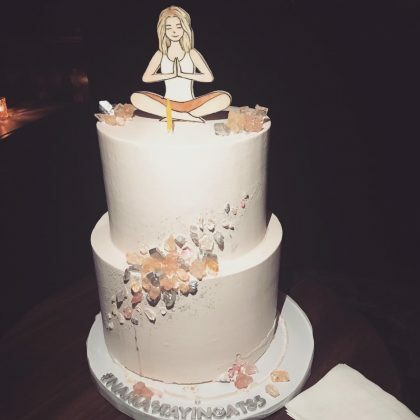 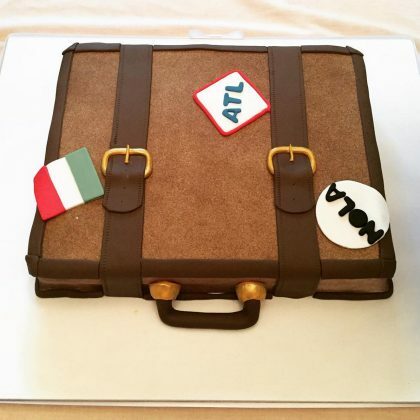 Audrina Patridge﻿ shared in June 2015 that her “beautiful” 30th birthday cake was created by Cake Studio. 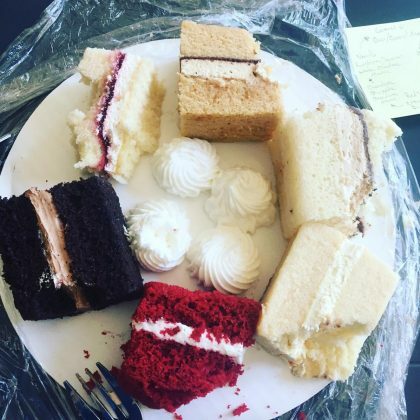 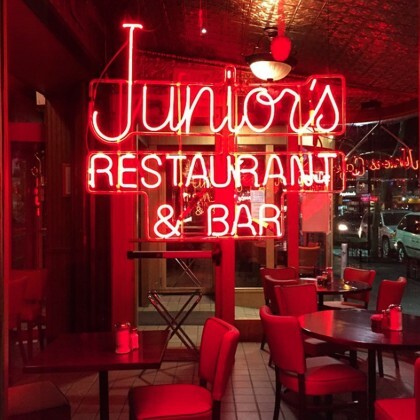 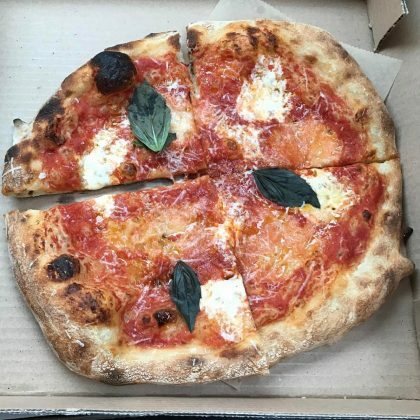 Jamie Chung shouted out cheesecakes from Junior’s, Brooklyn as the source of her “Late night cravings in Brooklyn” in March 2015. 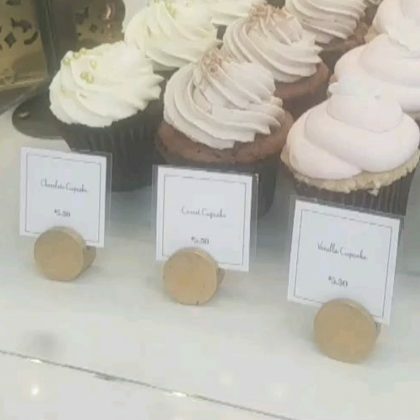 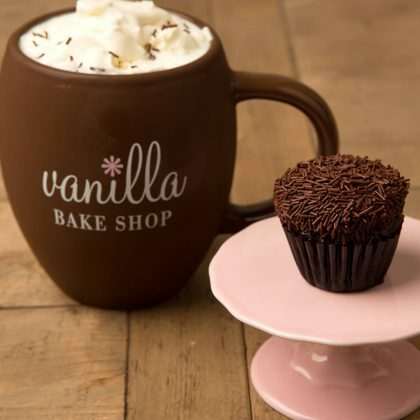 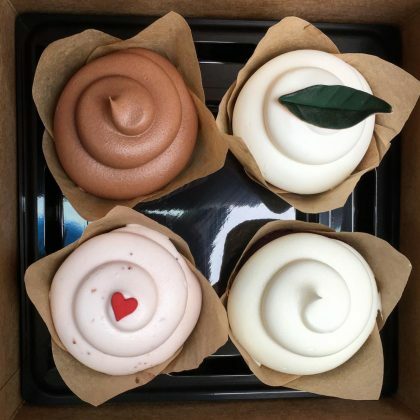 Mindy Kaling confessed that on a March 2015 day when she was feeling upset about a fight with a good friend, she “pulled over to Vanilla Bake Shop and had two mini confetti cupcakes” and it have her “some clarity” — you can get three confetti vanilla bean cupcake babies for $6. 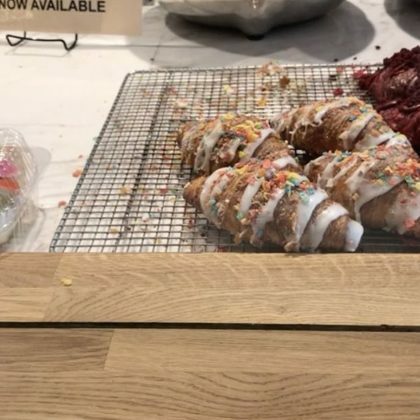 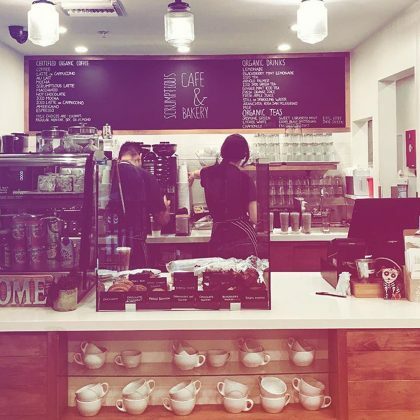 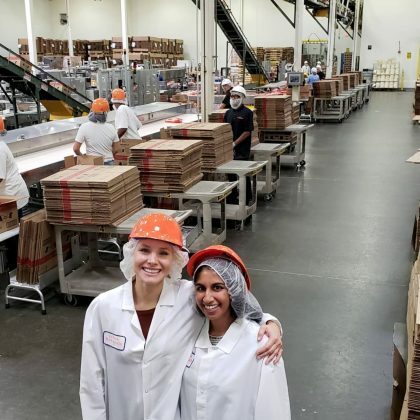 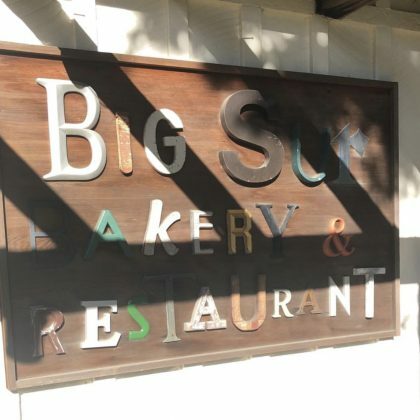 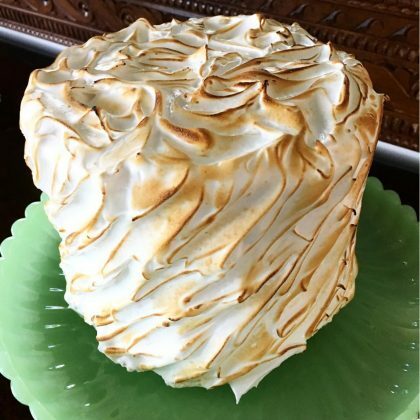 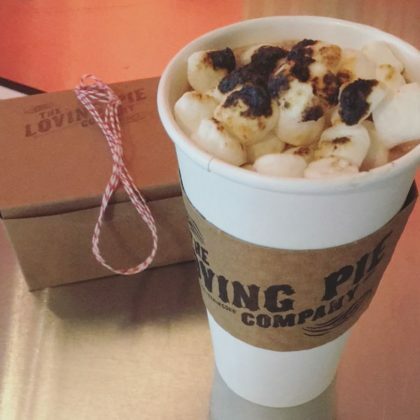 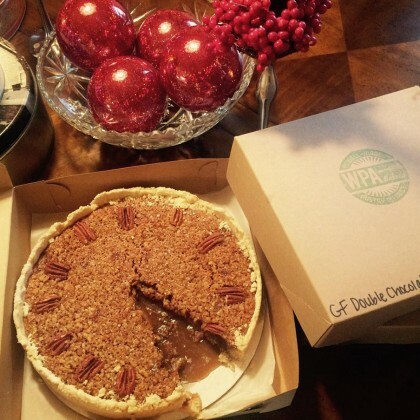 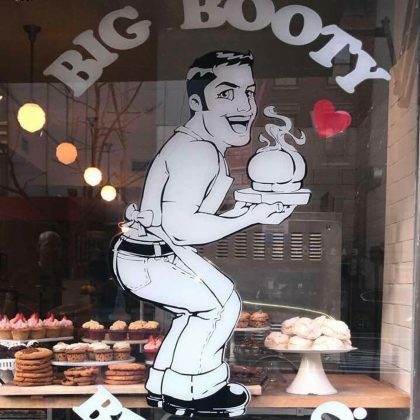 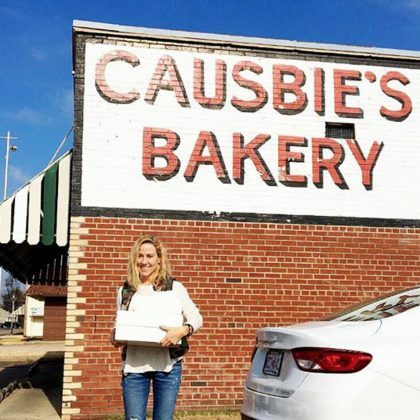 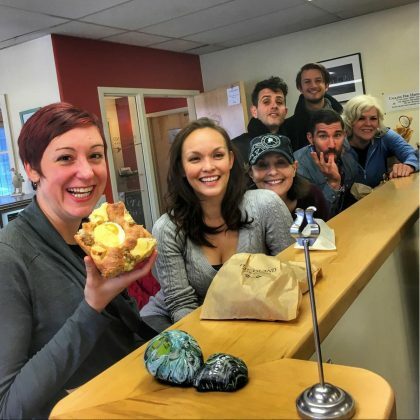 Sophia Bush enjoyed this bakery’s “blood orange meringue” a day before National Pie Day in January 2015 — a slice here costs $5, or, you can get the whole pie for $26. 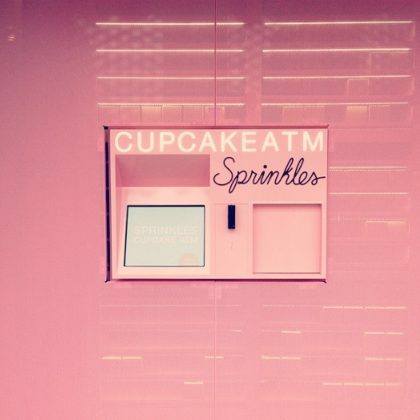 Kate Bosworth was at the self-serving treat dispenser — the Sprinkles Cupcakes, New York ATM — in January 2015. 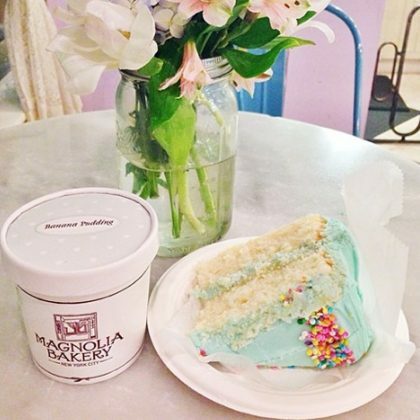 Kiernan Shipka picked up a slice of vanilla cake ($6.50) and a small container of the famous banana pudding ($3.75) from Magnolia Bakery, Los Angeles in March 2014.